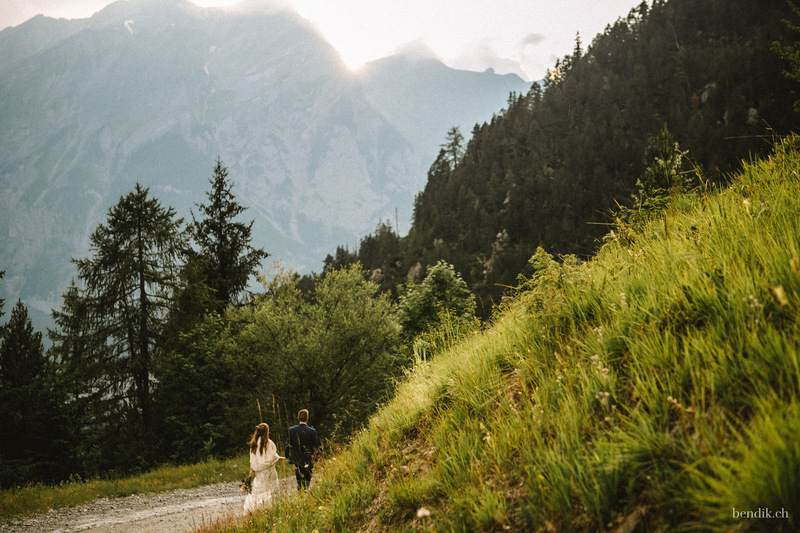 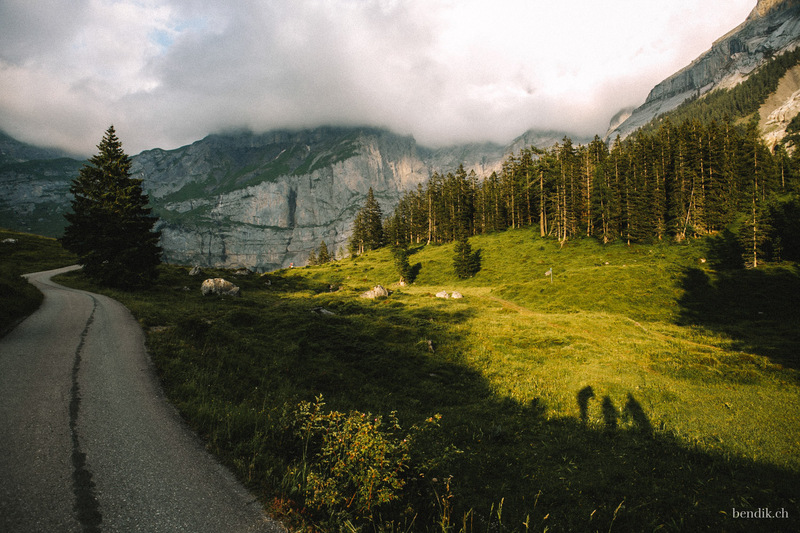 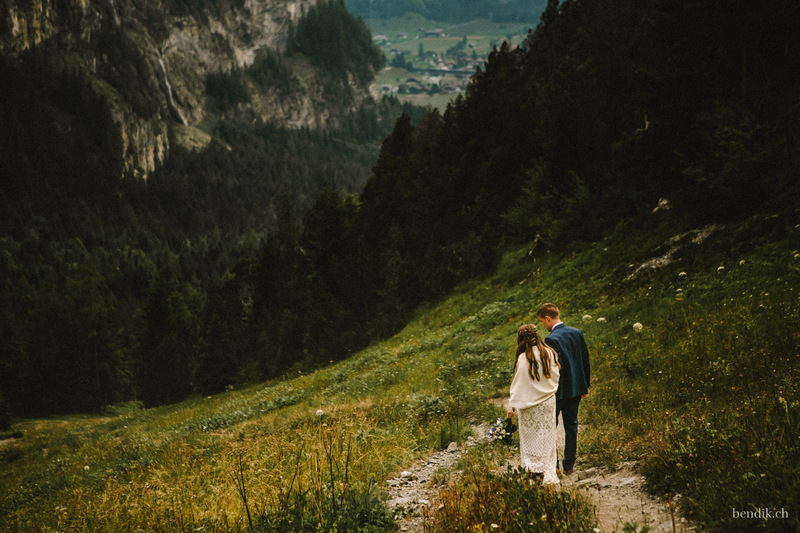 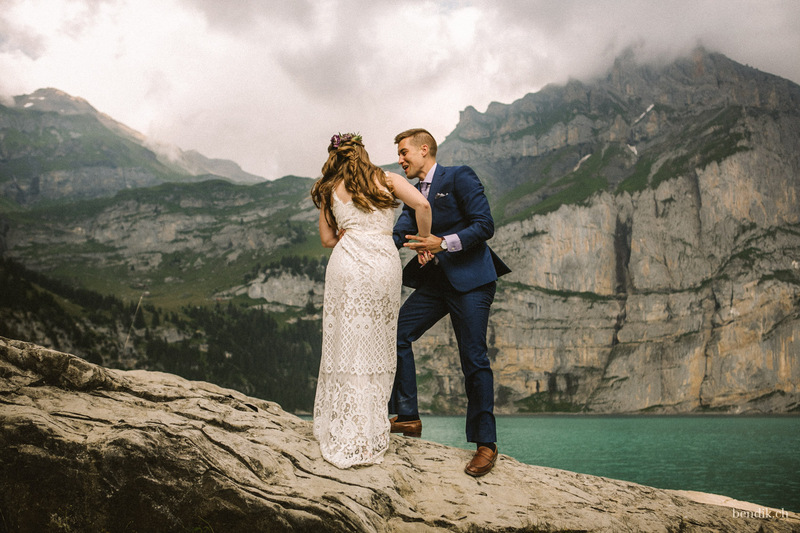 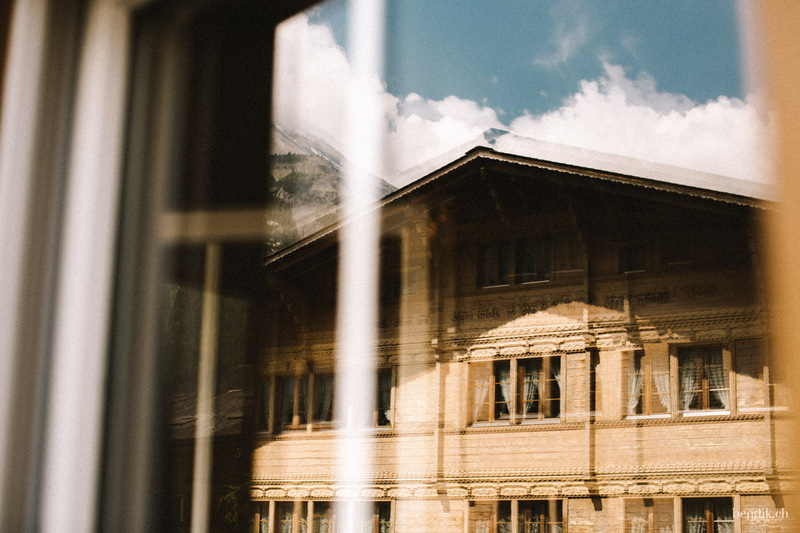 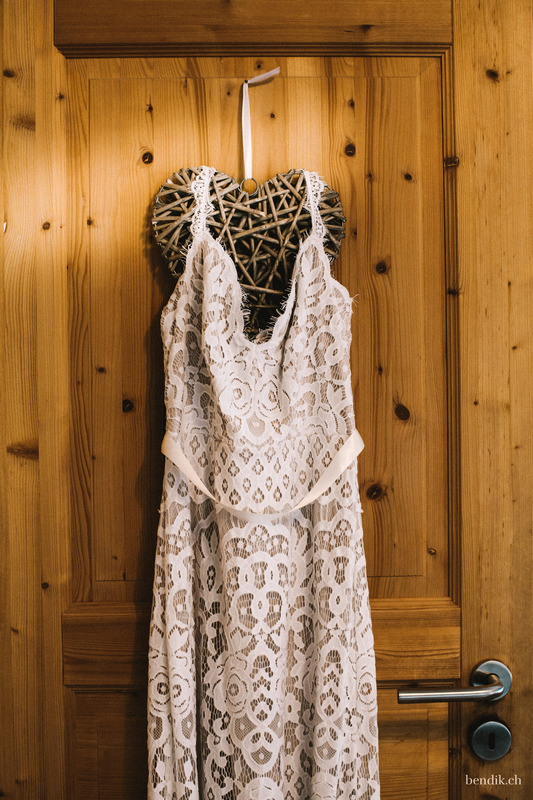 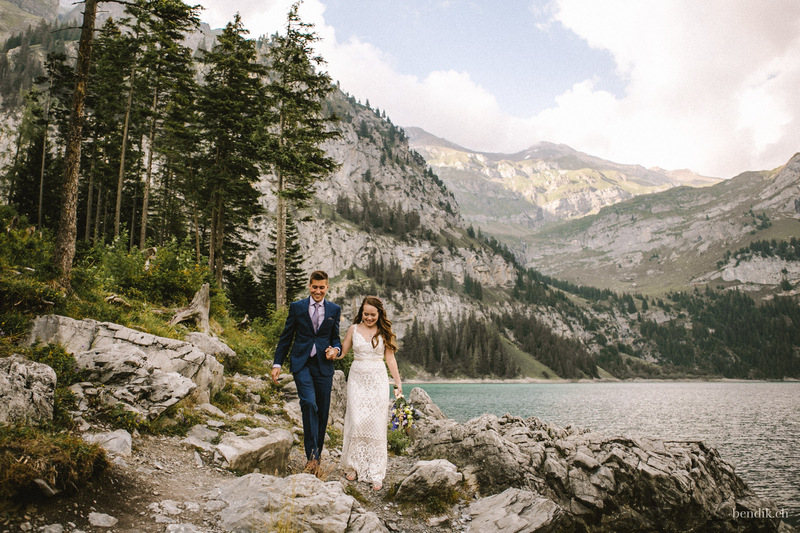 As I slowly made my way through the beautiful little mountain village of Kandersteg, the bright white smiles of the couple that I was supposed to meet already shined on me from the distance. 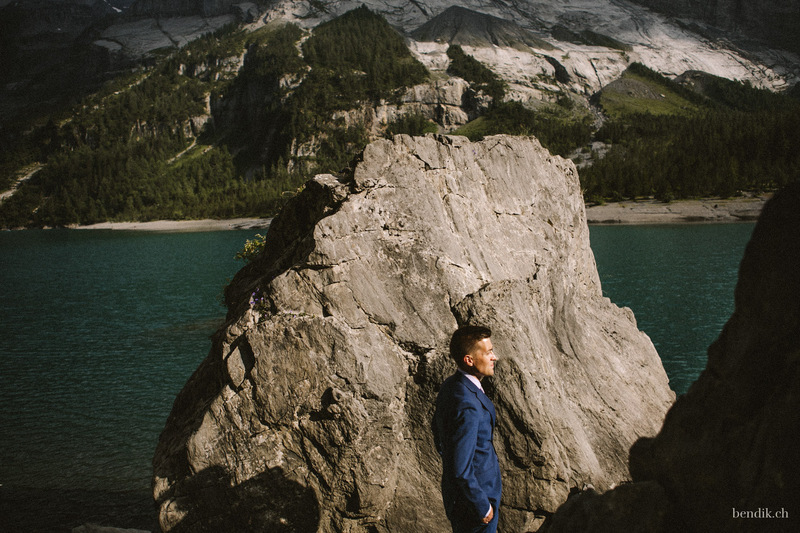 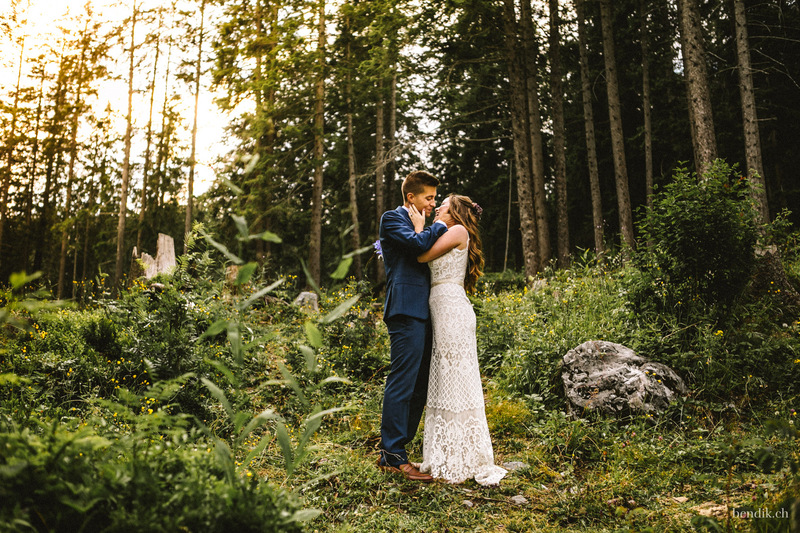 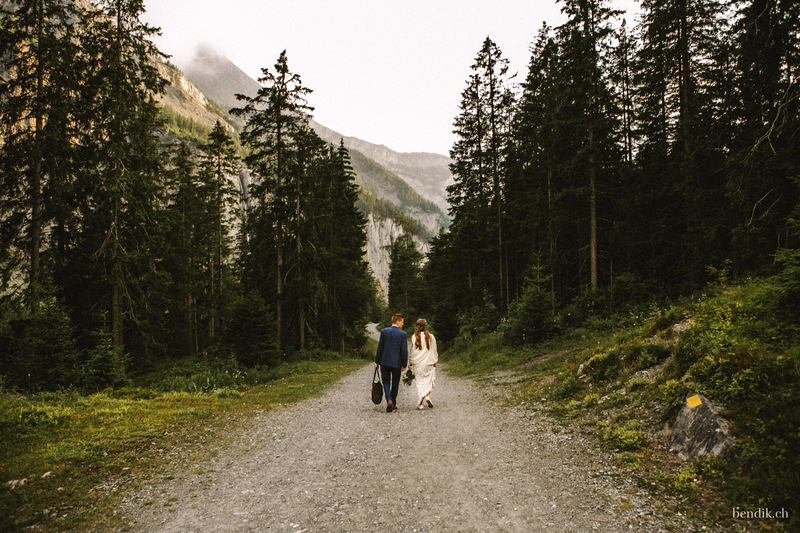 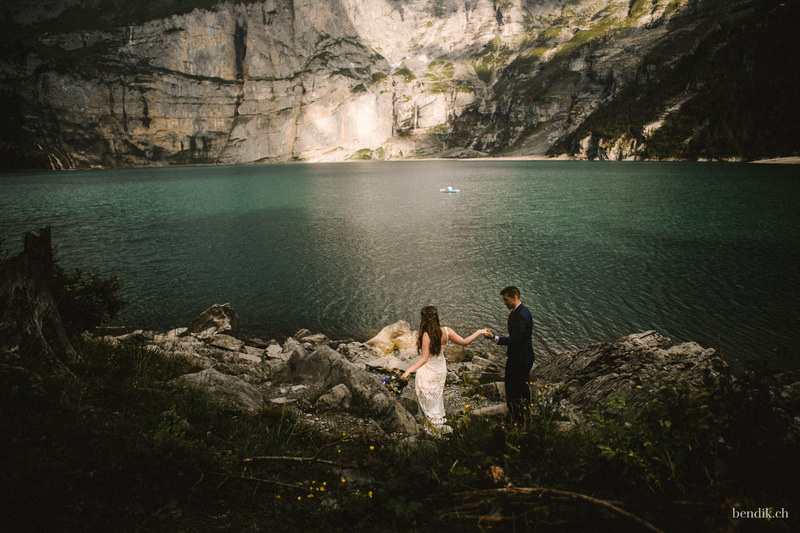 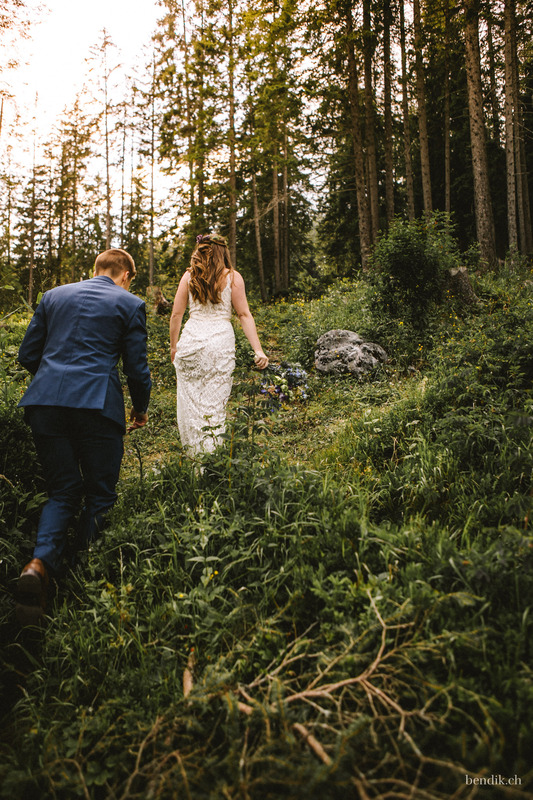 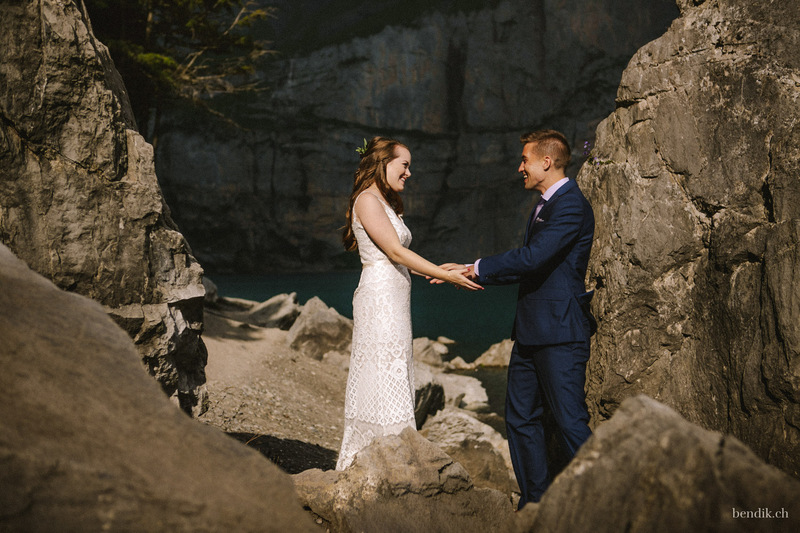 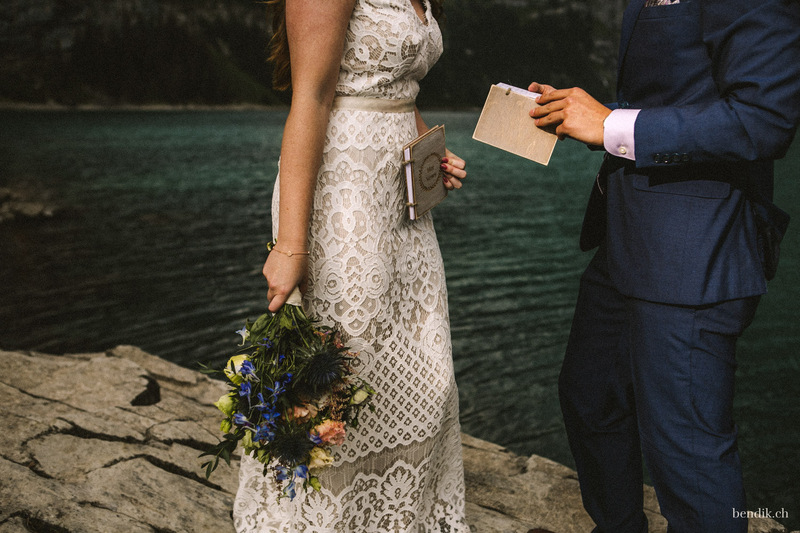 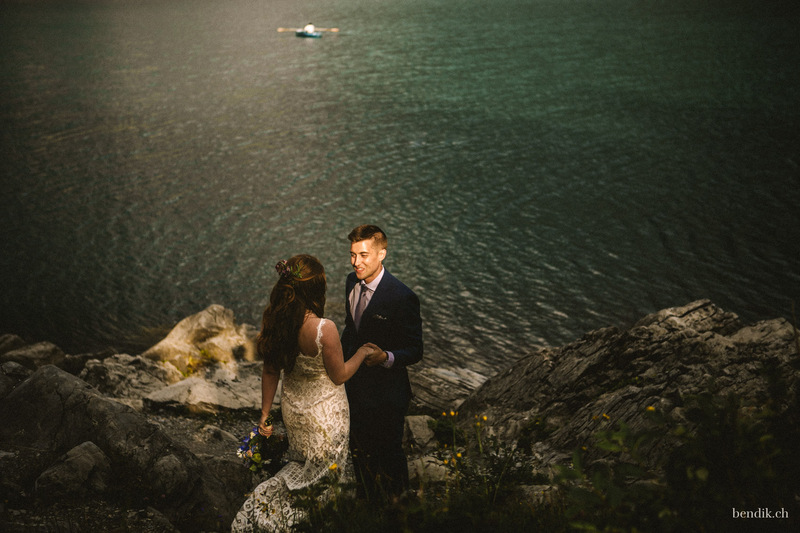 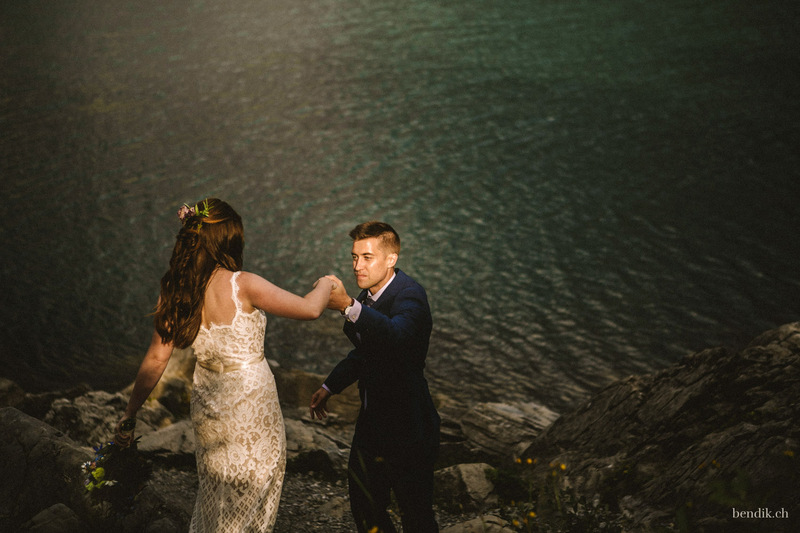 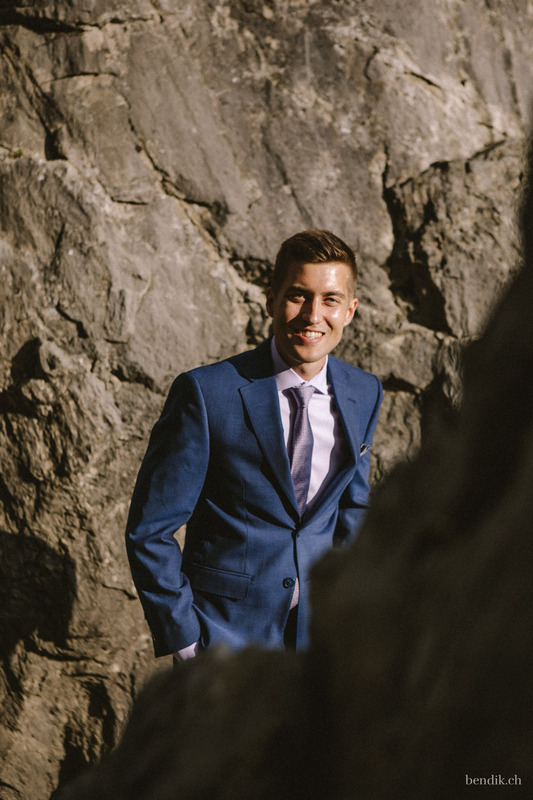 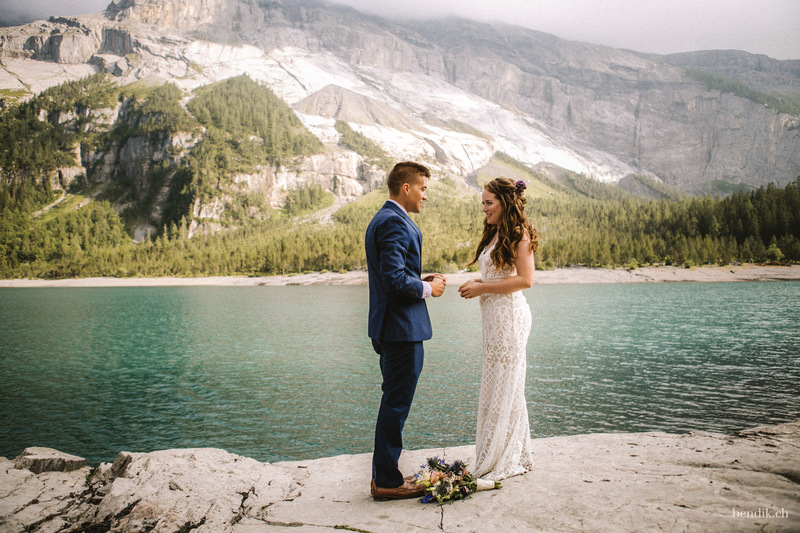 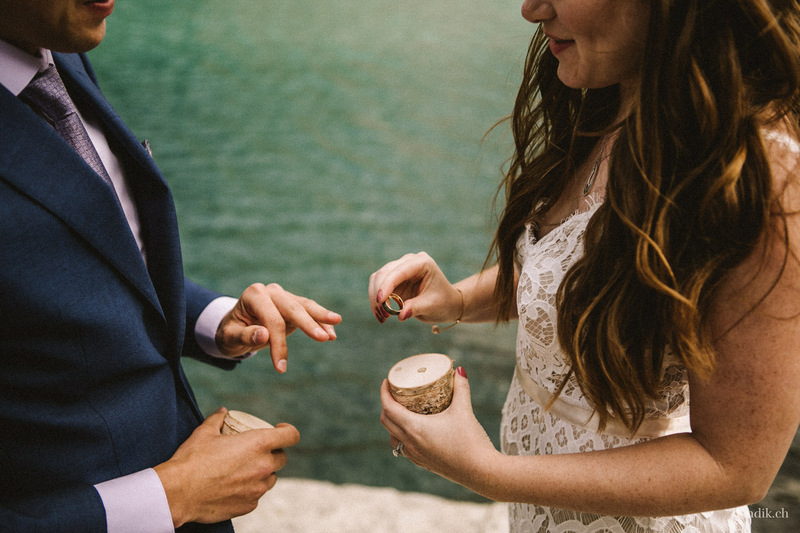 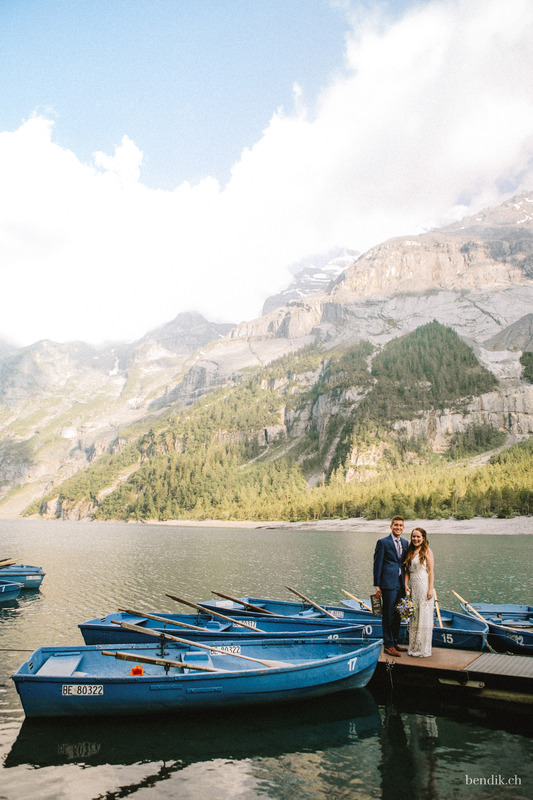 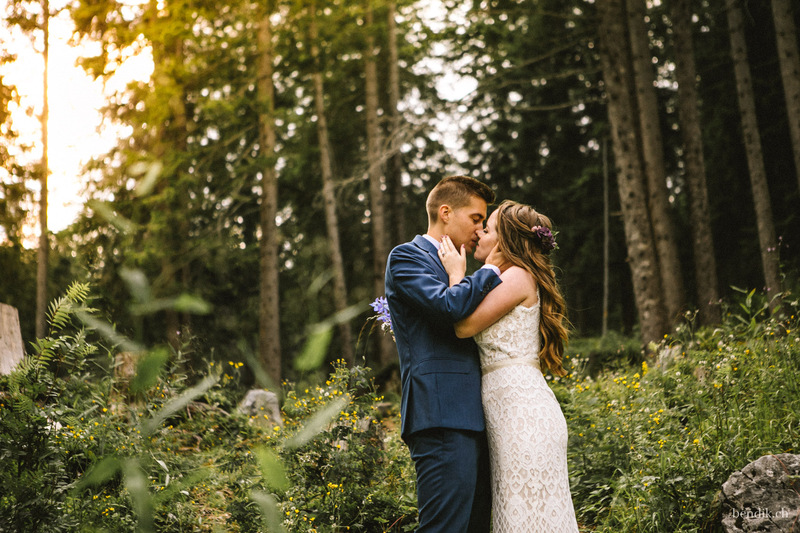 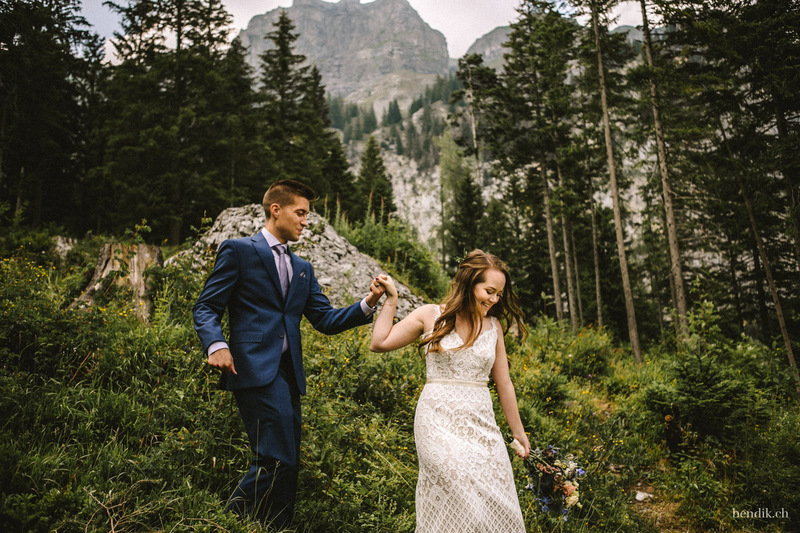 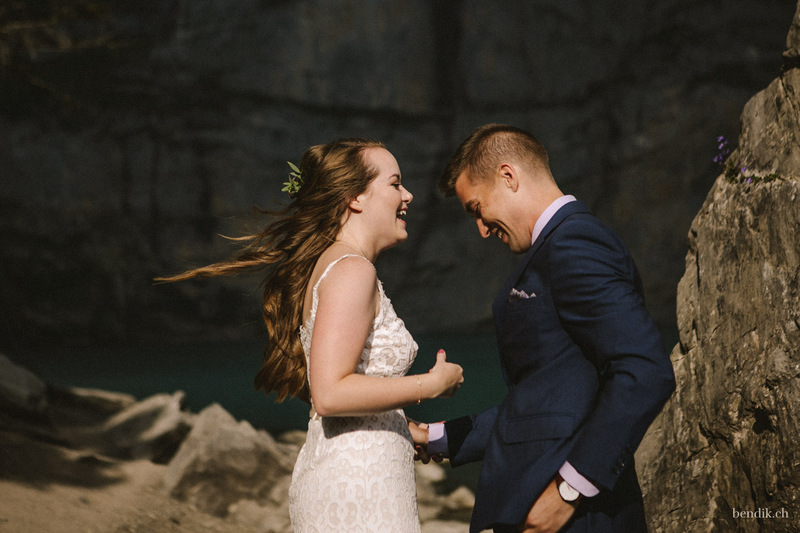 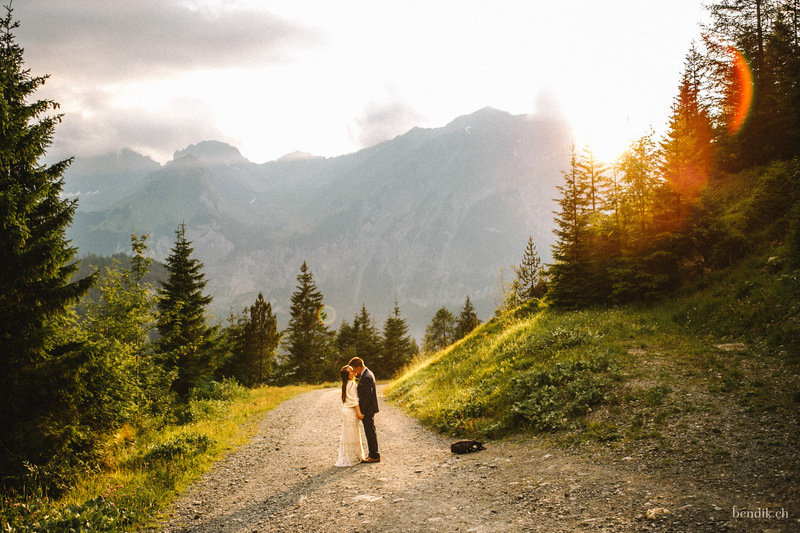 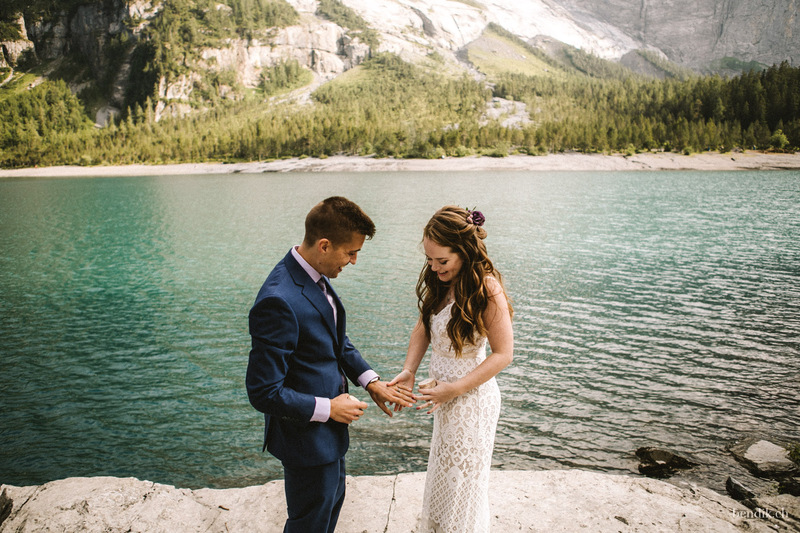 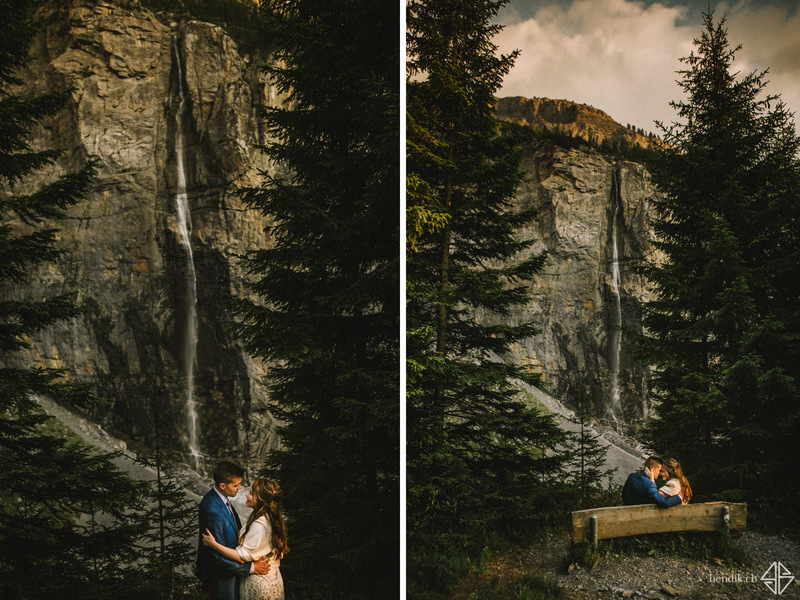 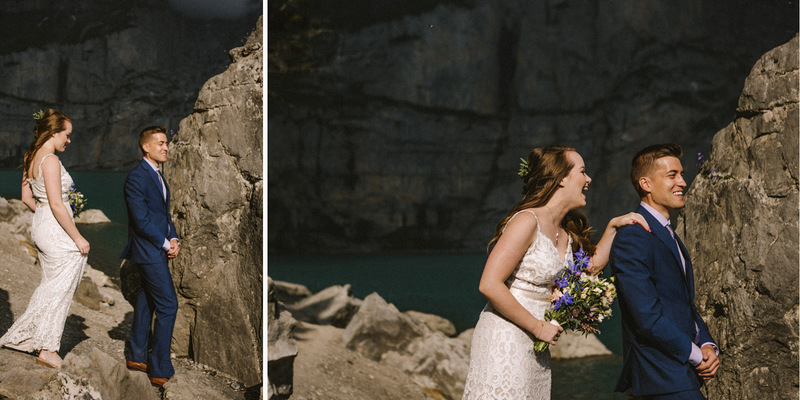 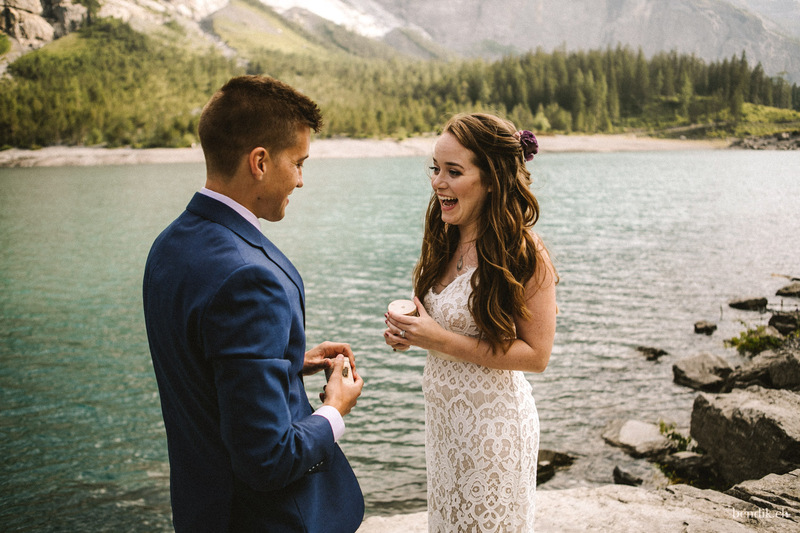 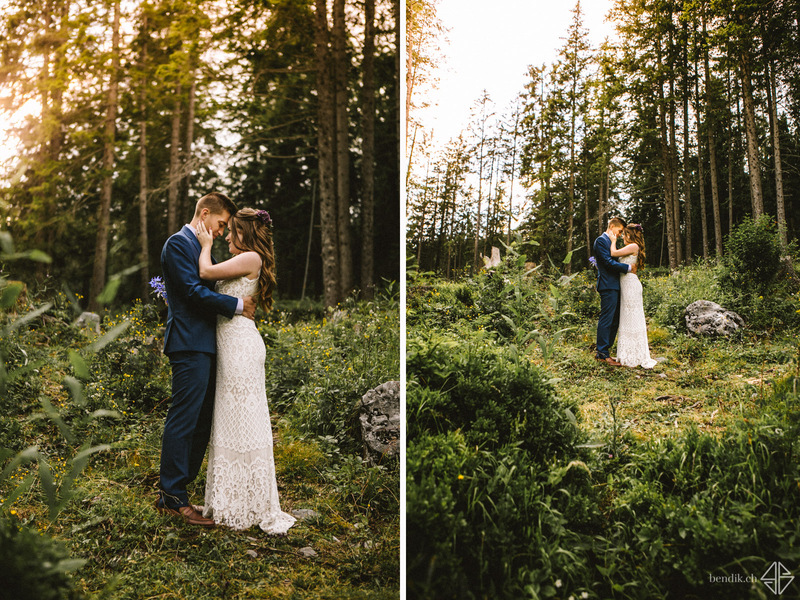 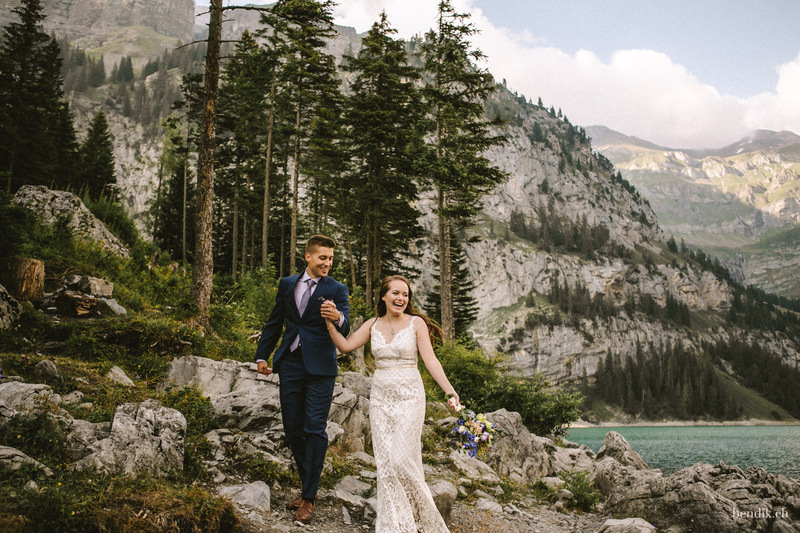 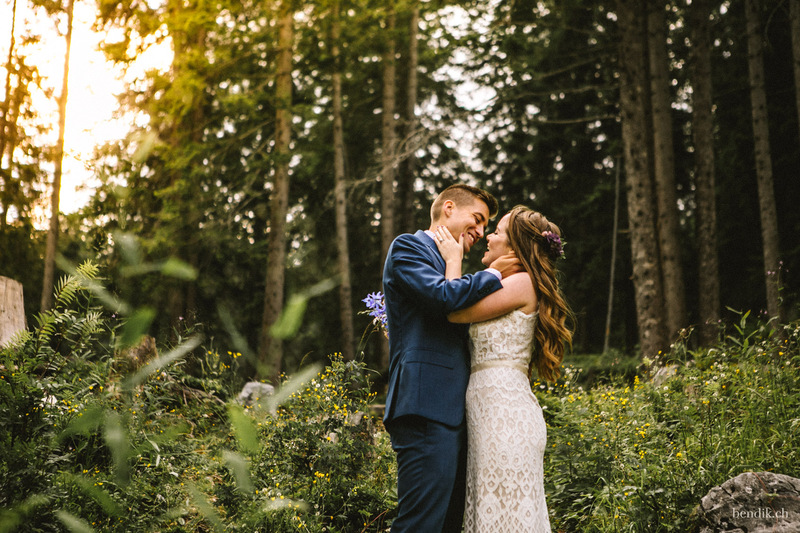 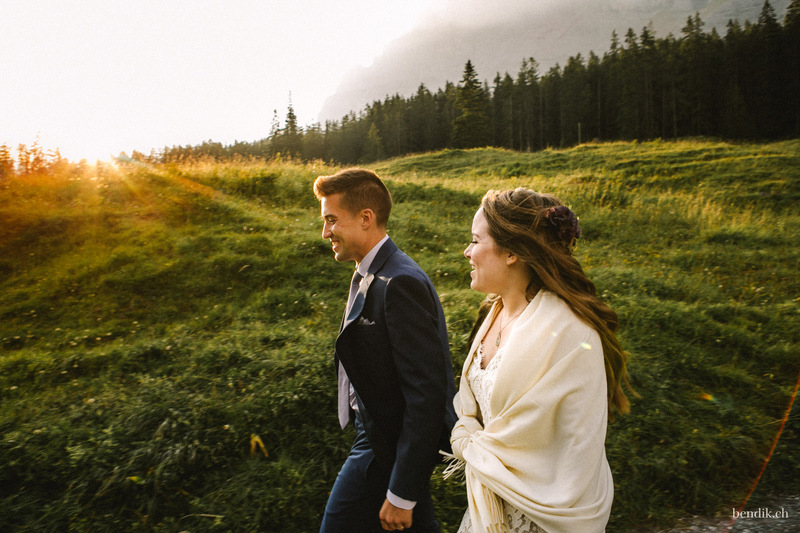 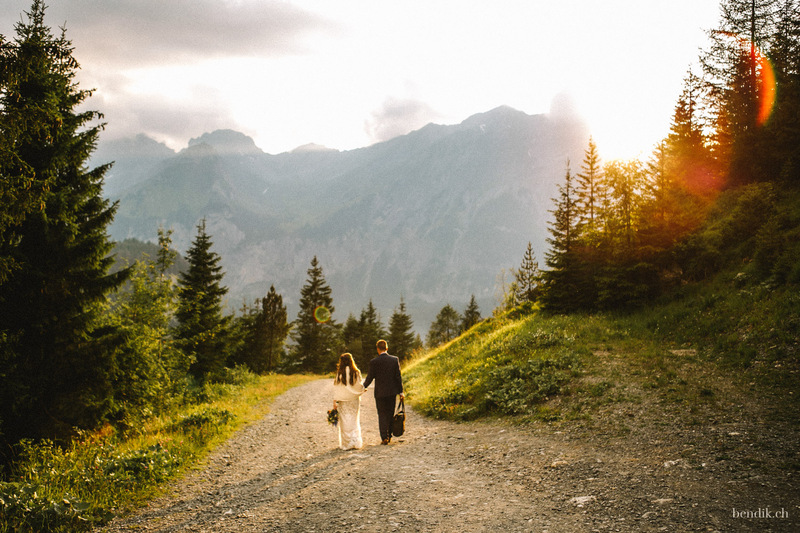 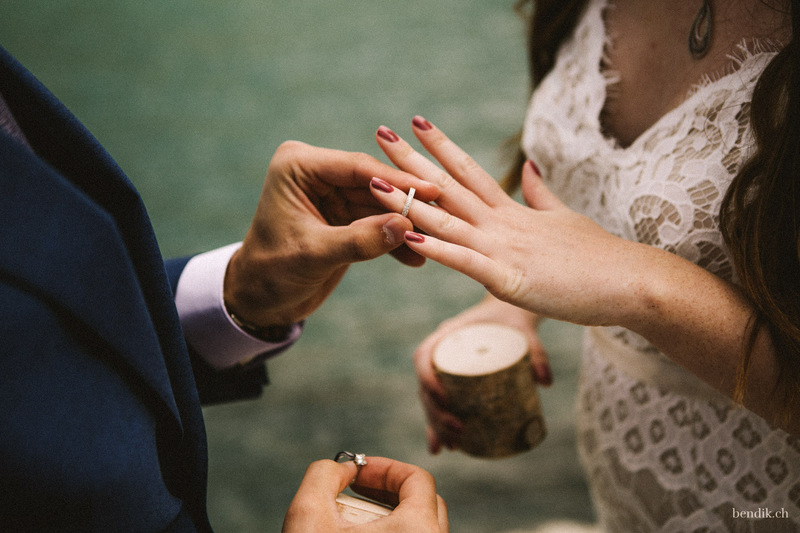 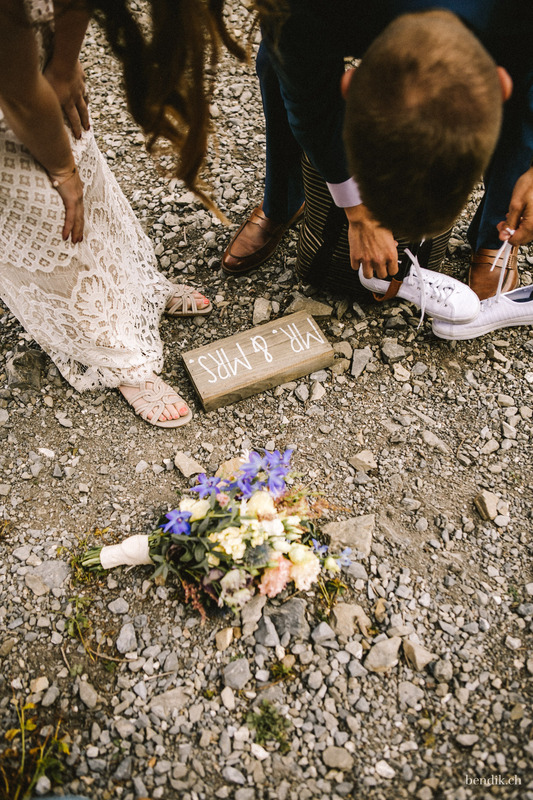 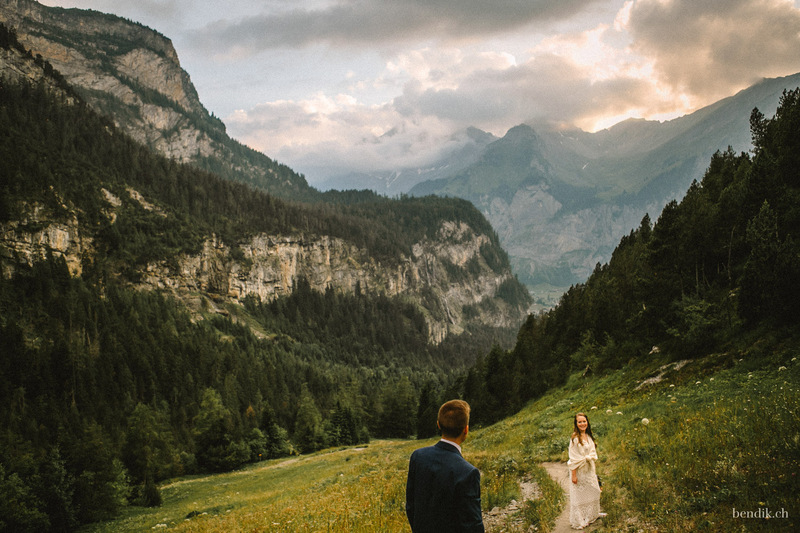 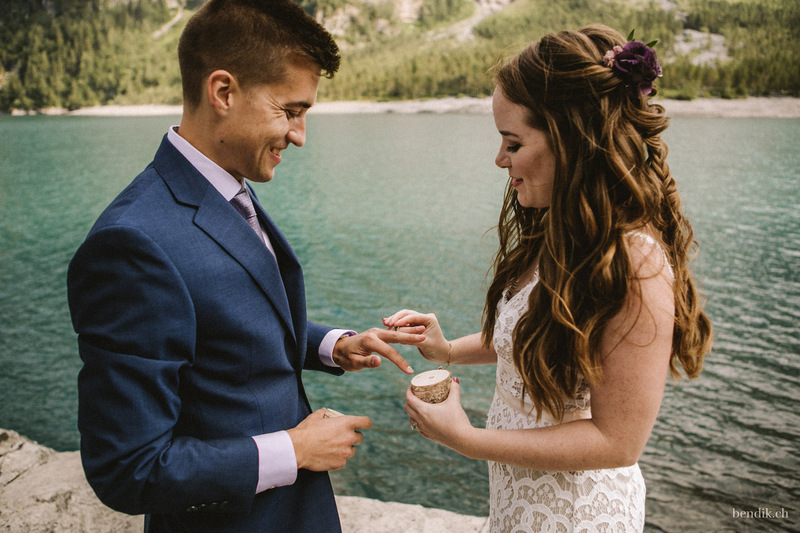 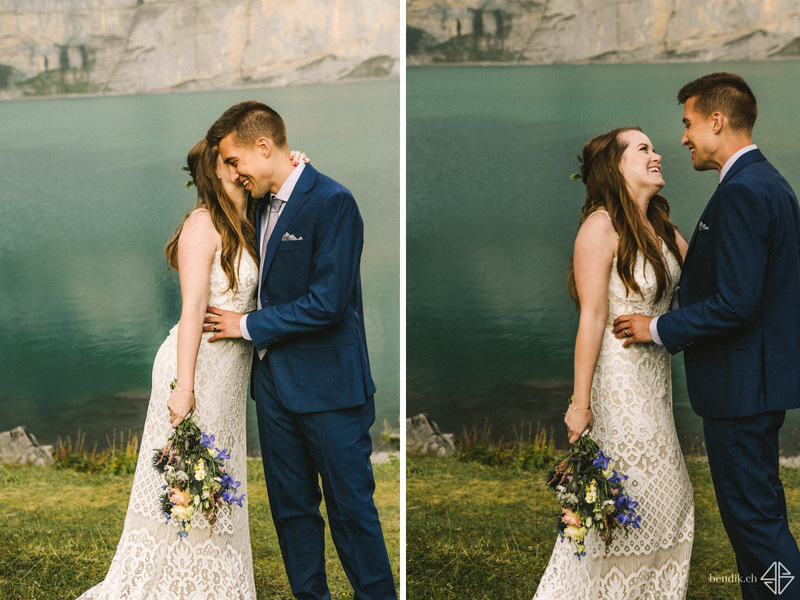 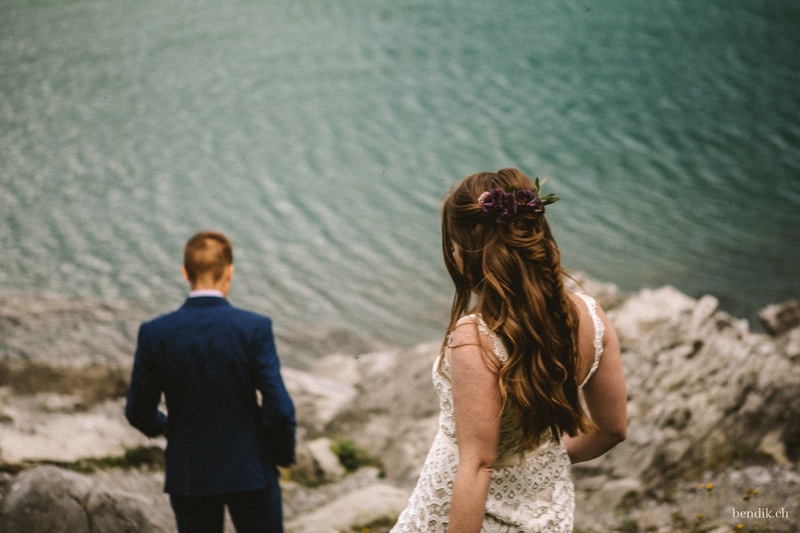 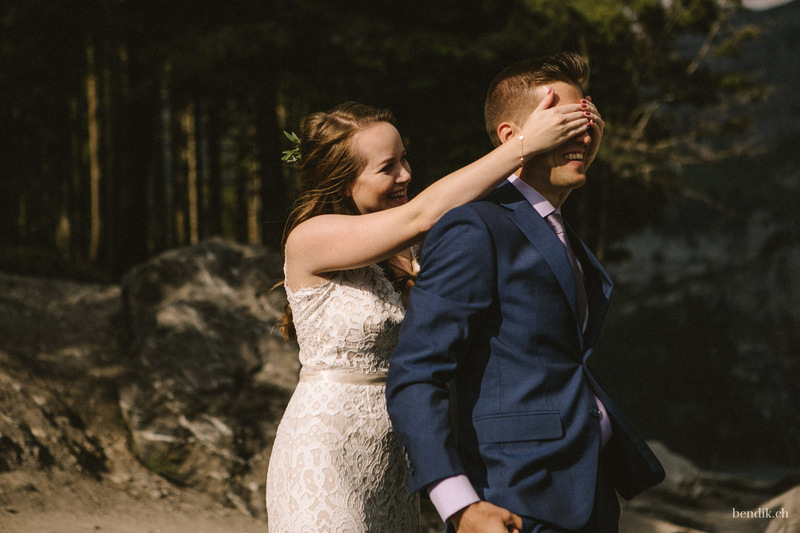 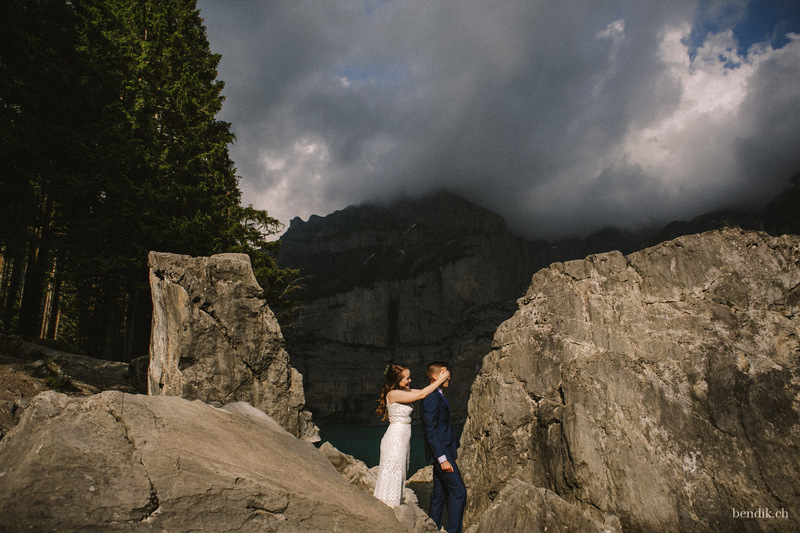 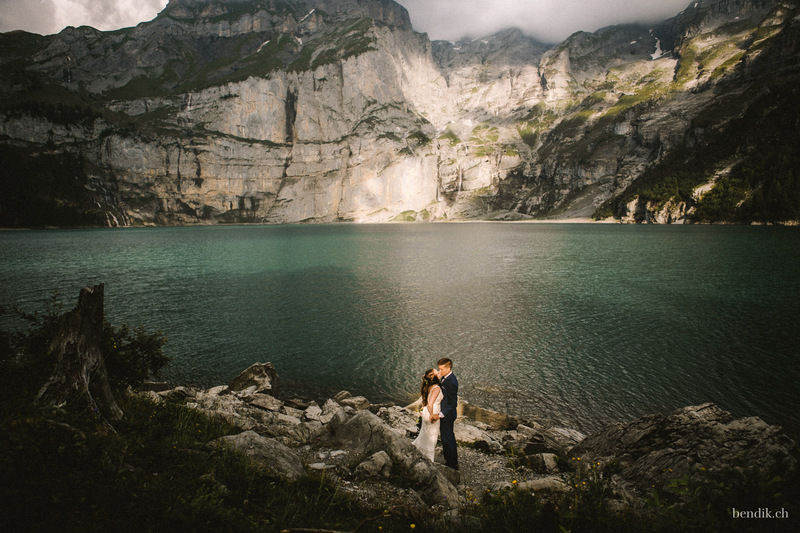 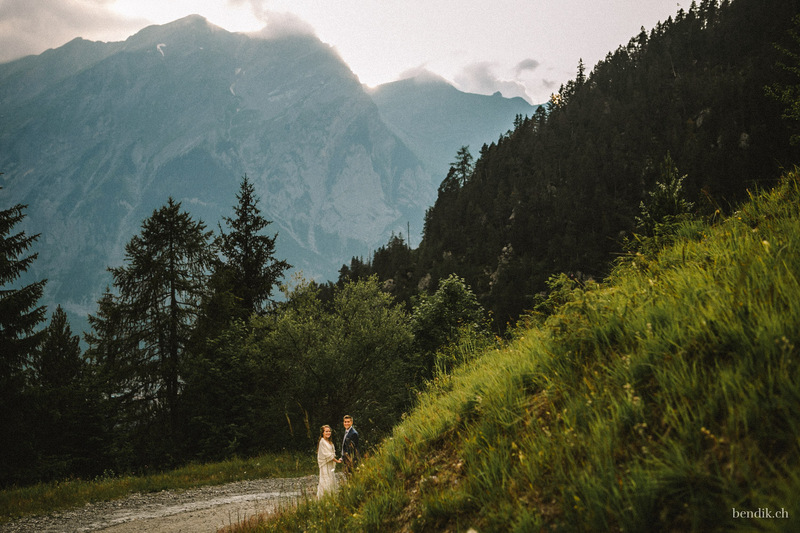 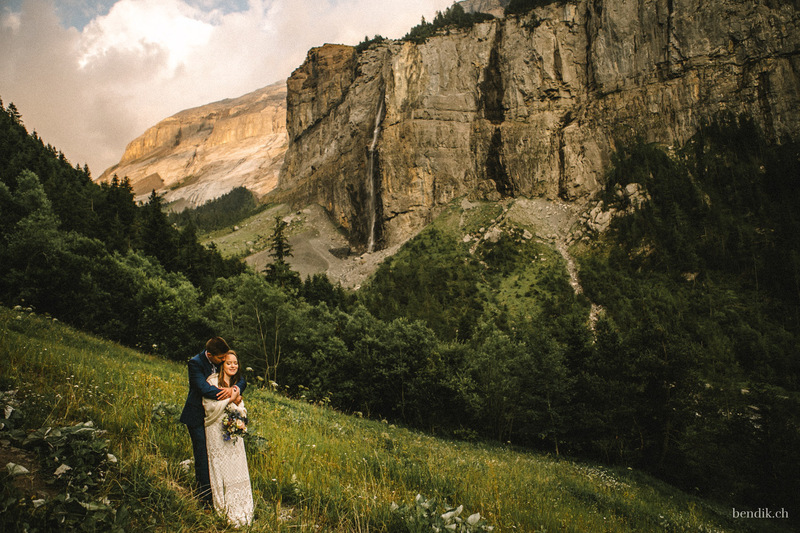 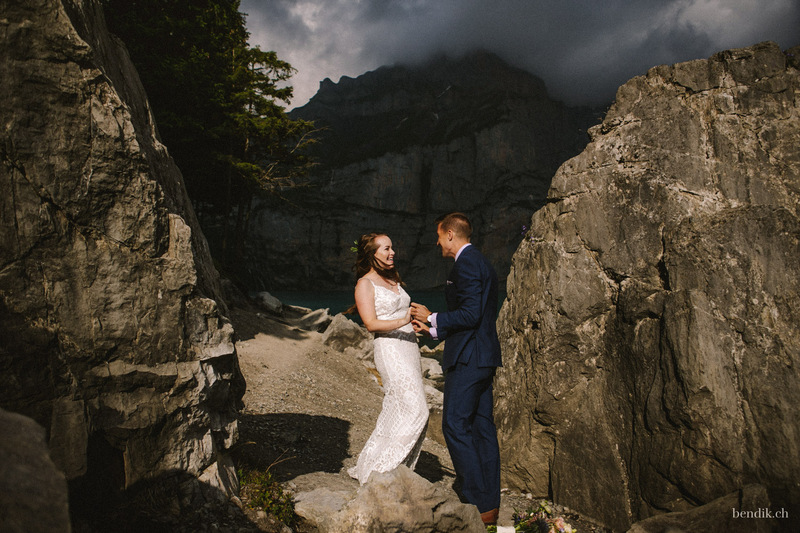 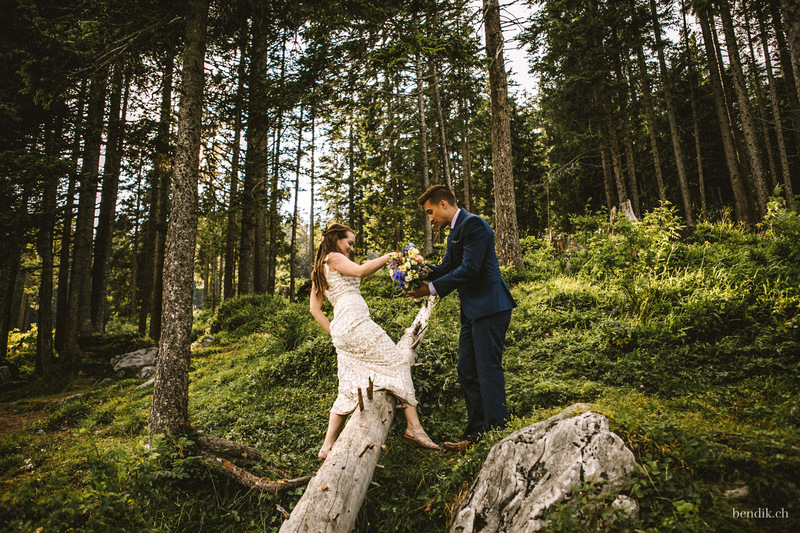 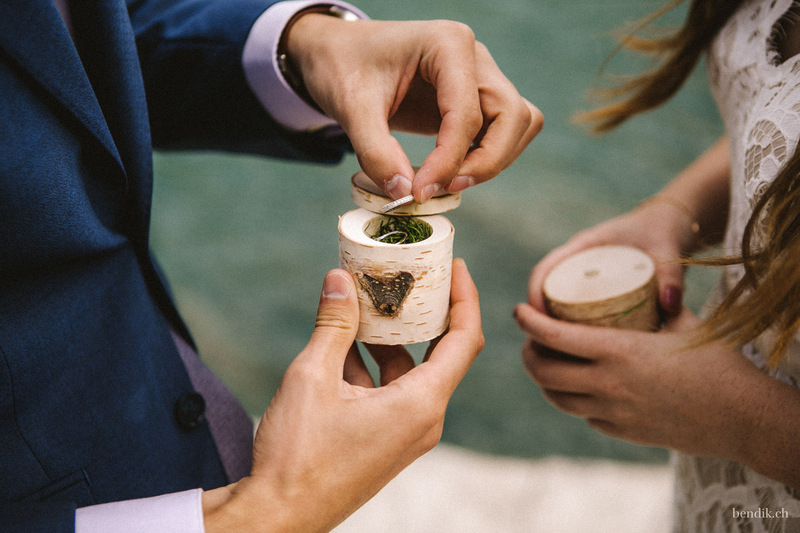 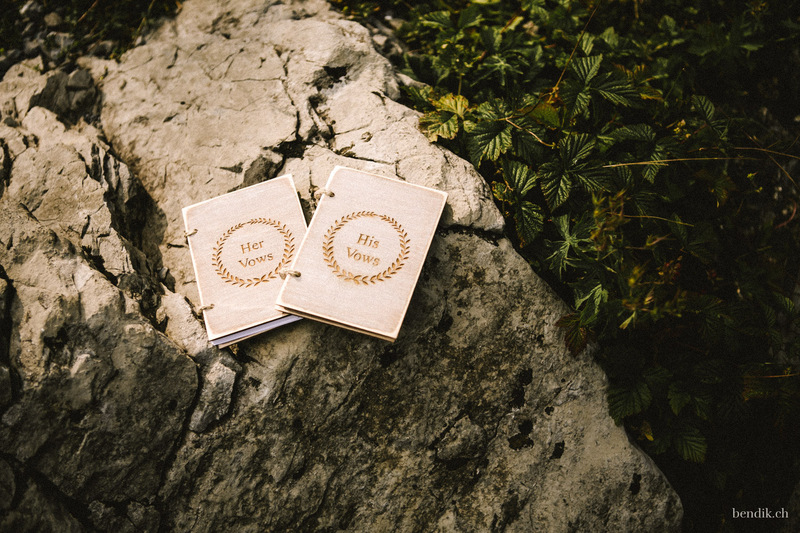 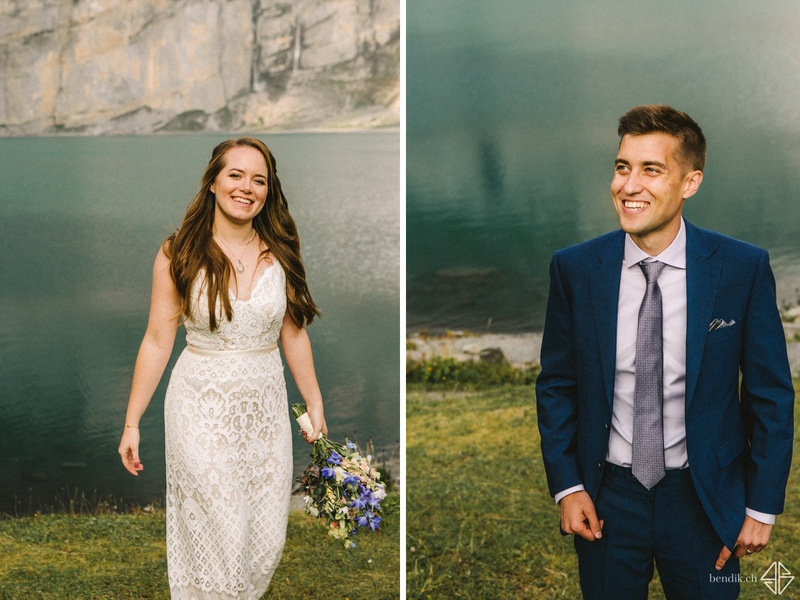 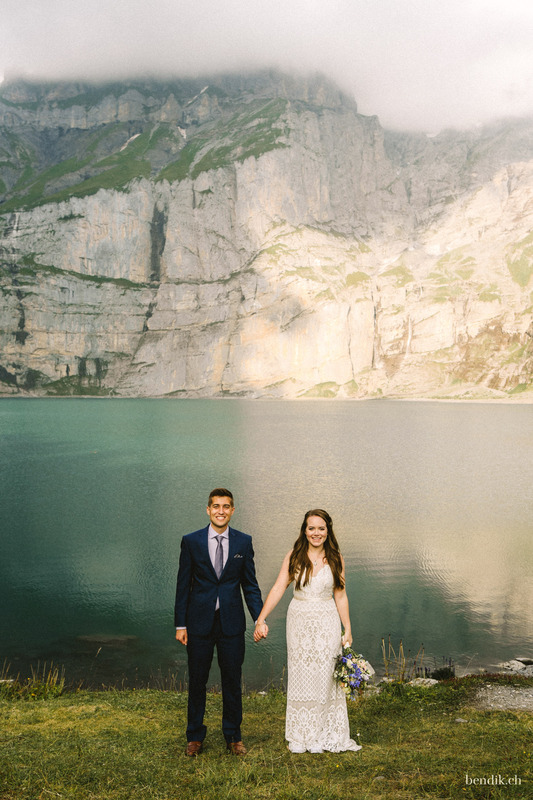 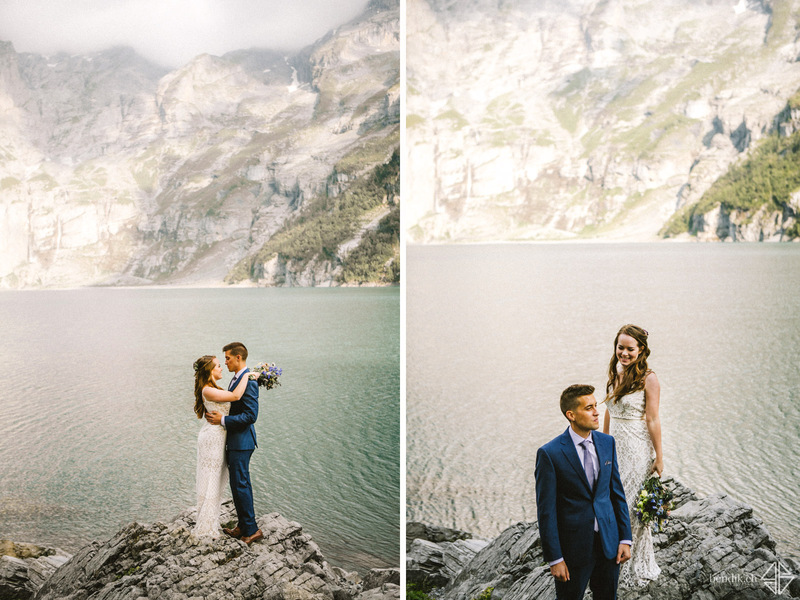 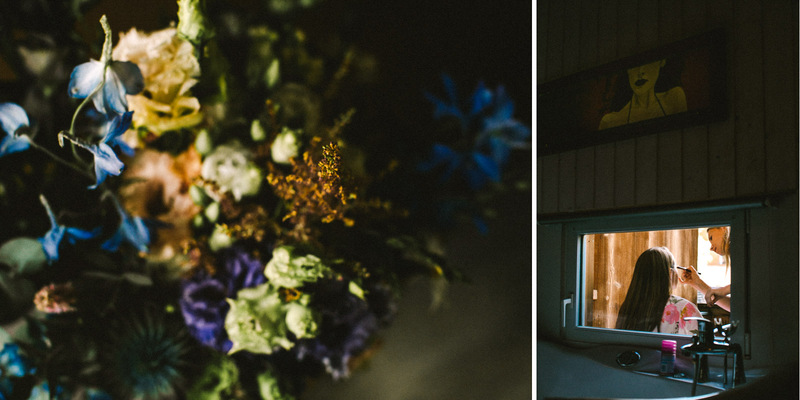 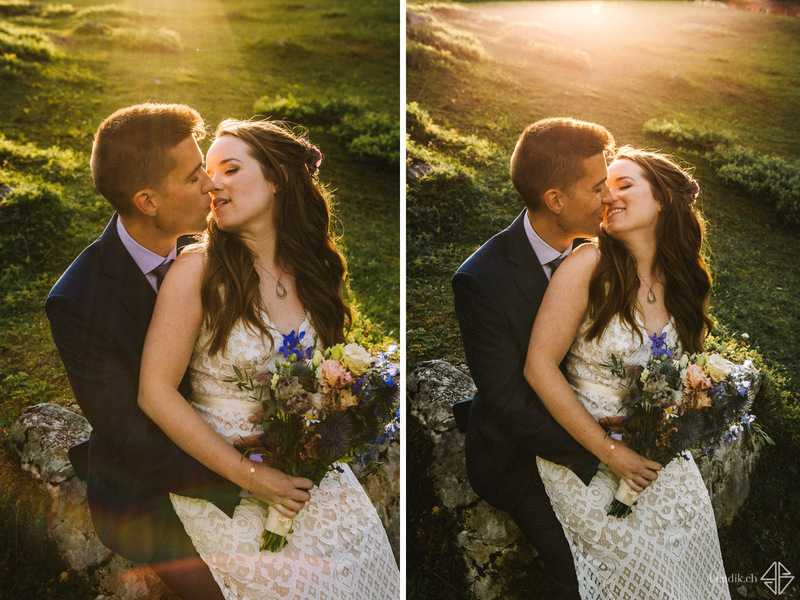 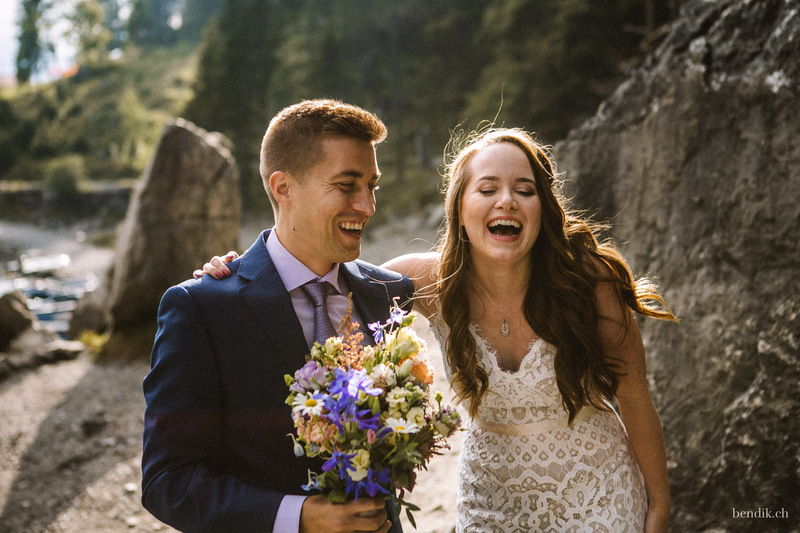 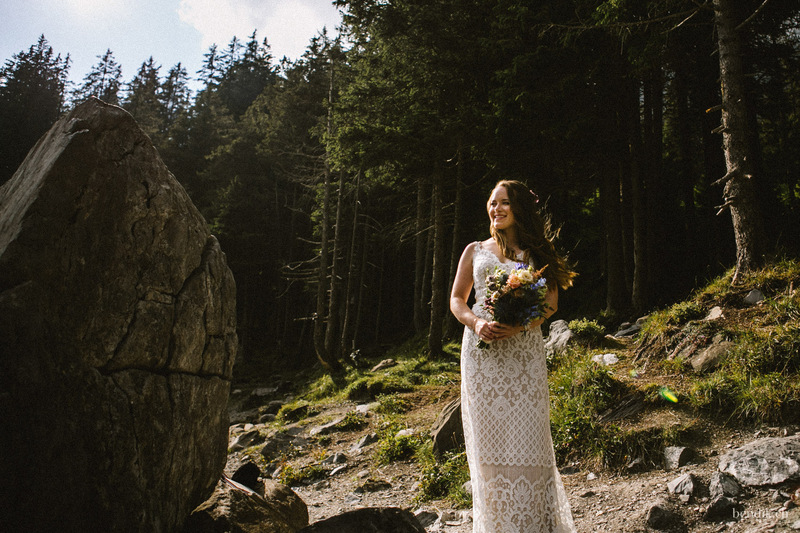 Stephanie and Andrew have travelled all the way from sunny Florida to this remote and beautiful place for their elopement in Switzerland. 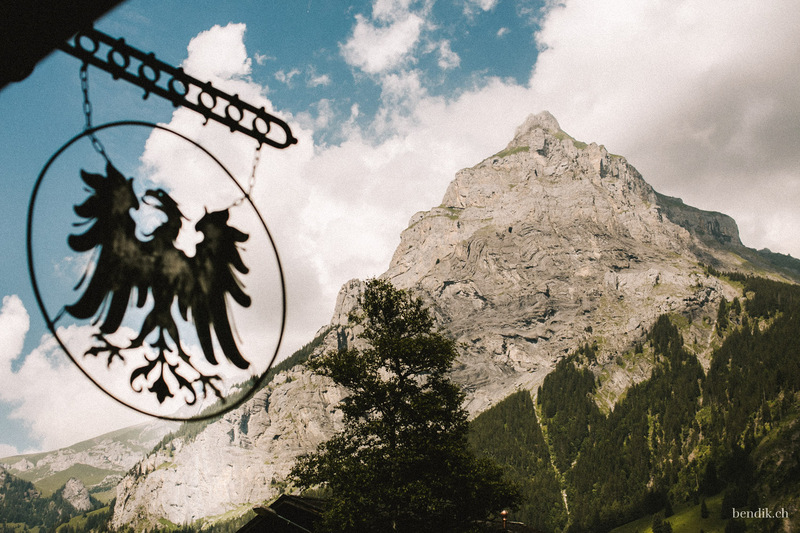 The view to the mountain panorama was really magical from Stephanie’s balcony, on which she was sitting while getting her hair done. 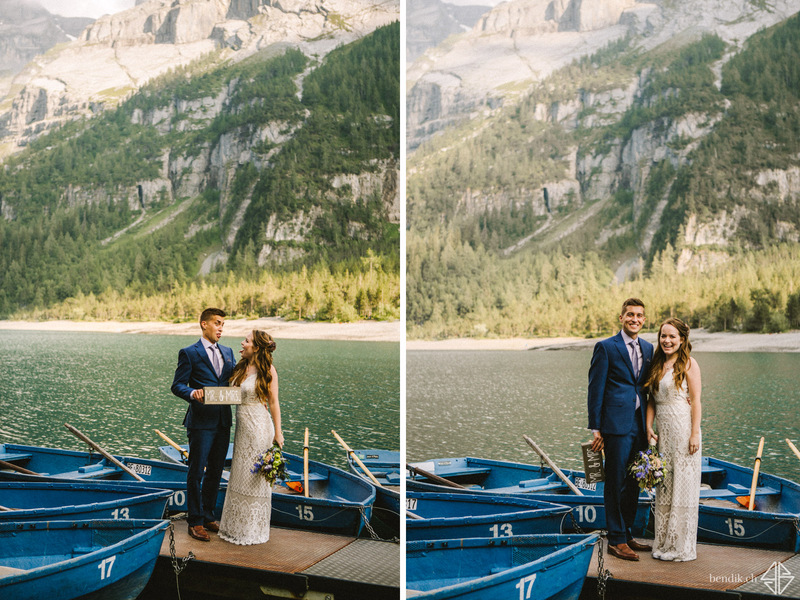 Capturing her getting ready in front of this beautiful scenery, I used some moments in between to follow Andrew’s preparation, who was using each and every free minute to continue reading a book about native Americans that seemingly captivated him. 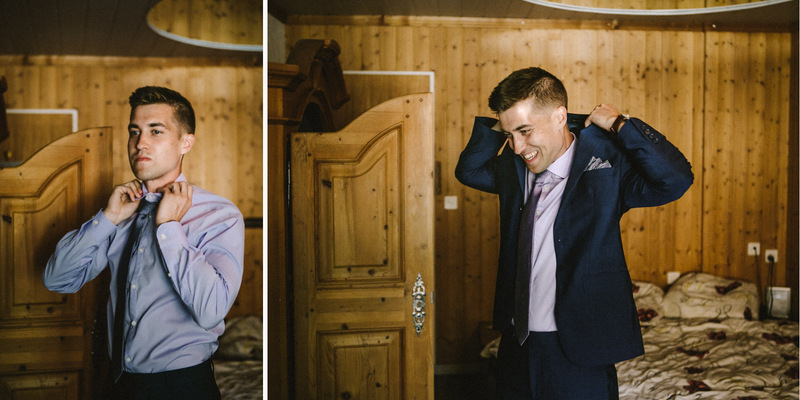 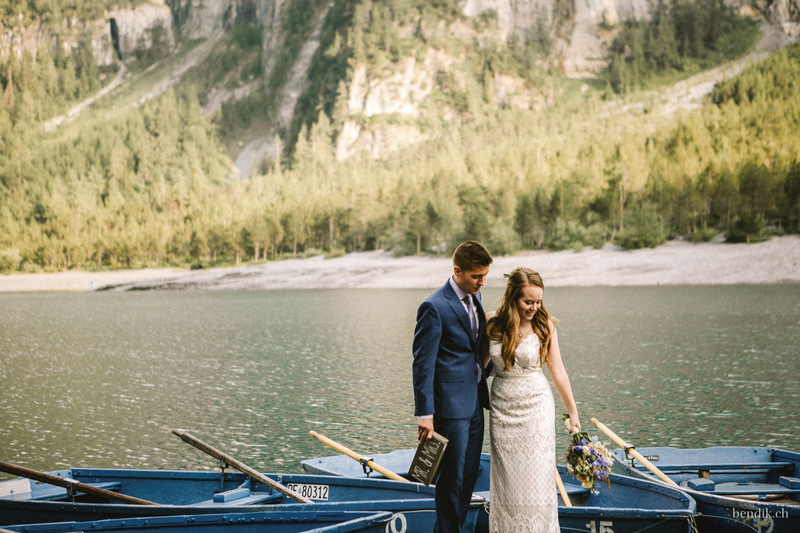 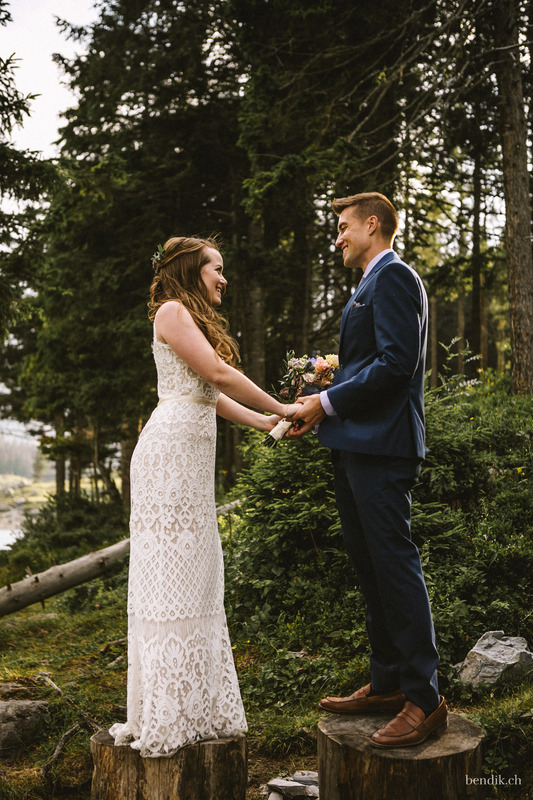 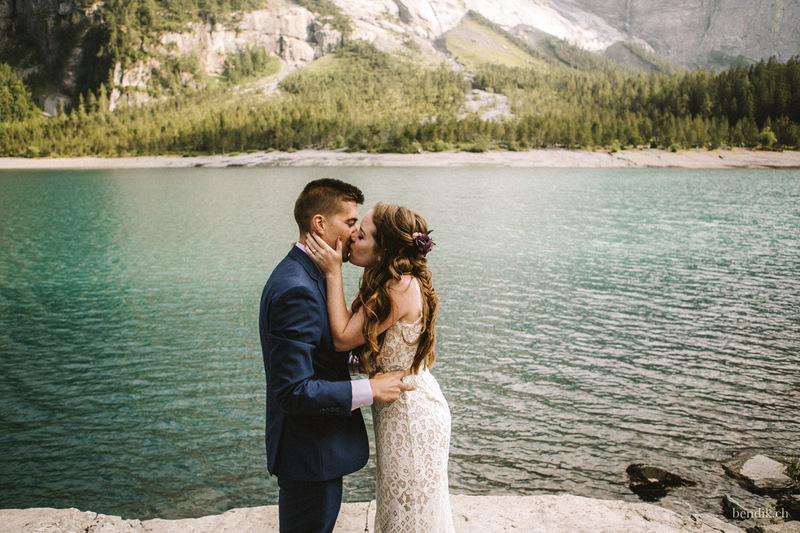 Time was short, however – Andrew already needed to leave for Lake Oeschinen, a nearby mountain lake, for their first look. 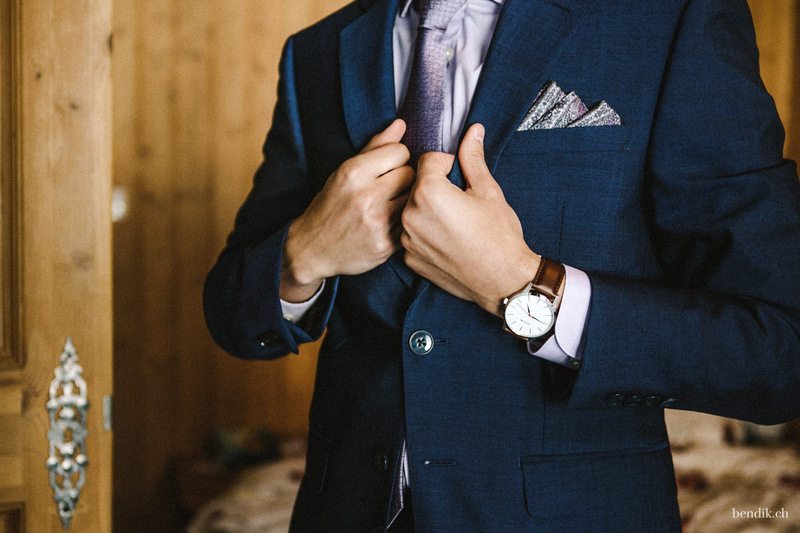 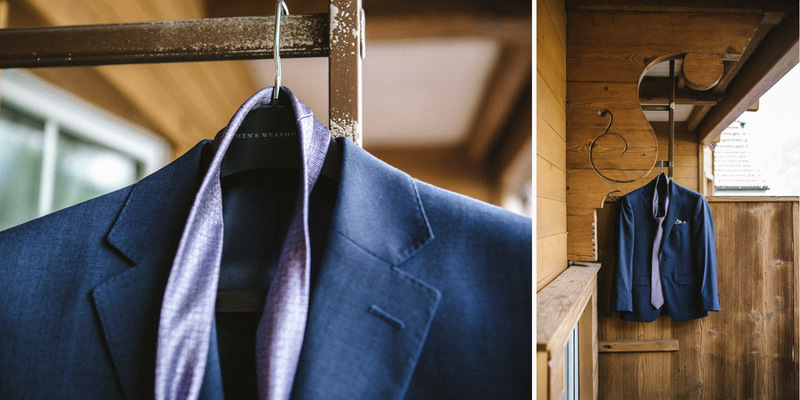 Therefore, Andrew was ready first, nicely dressed in a blue suit accompanied by a matching tie that seemed to have been carefully chosen. 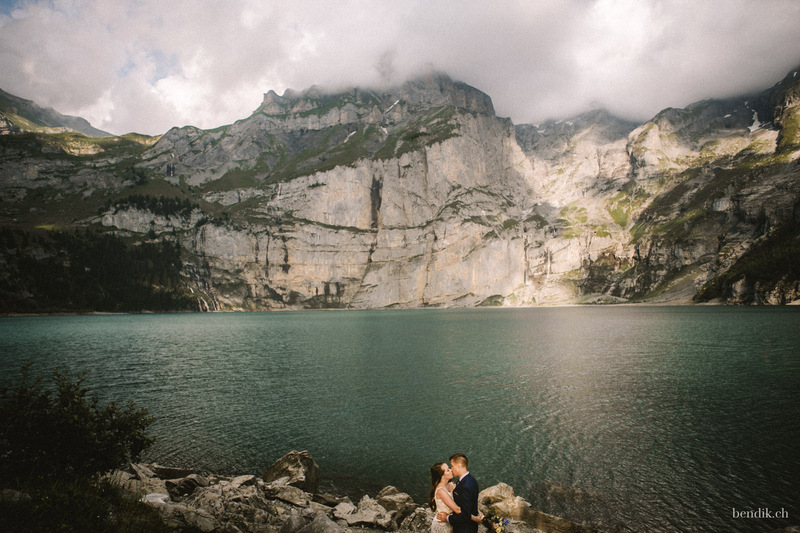 He left for Lake Oeschinen, whilst Stephanie and I were still choosing jewellery to match her beautiful dress. 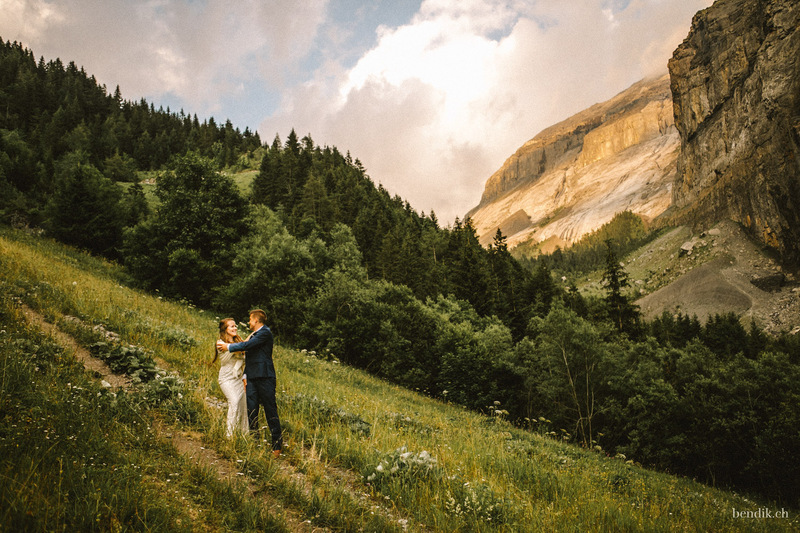 About half an hour later, we made our way to the cable car that was supposed to take us uphill to their elopement location. 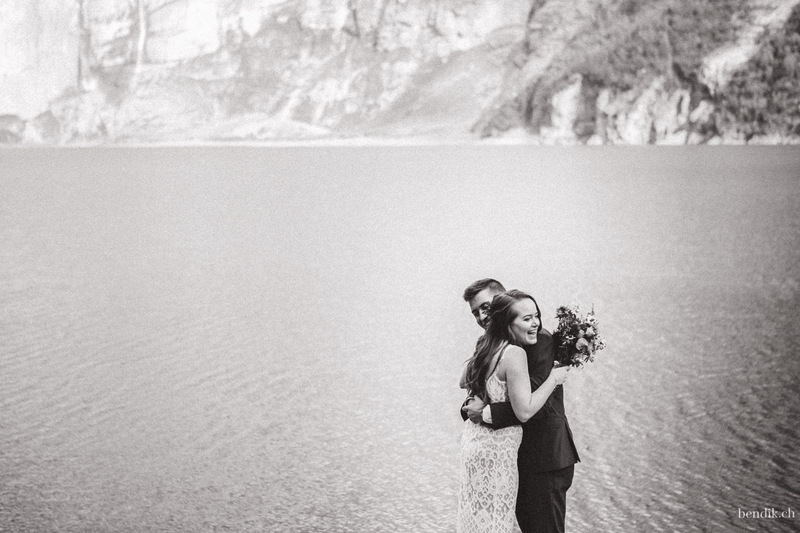 As we approached the shoreline of the lake, Andrew was waiting between two giant boulders. 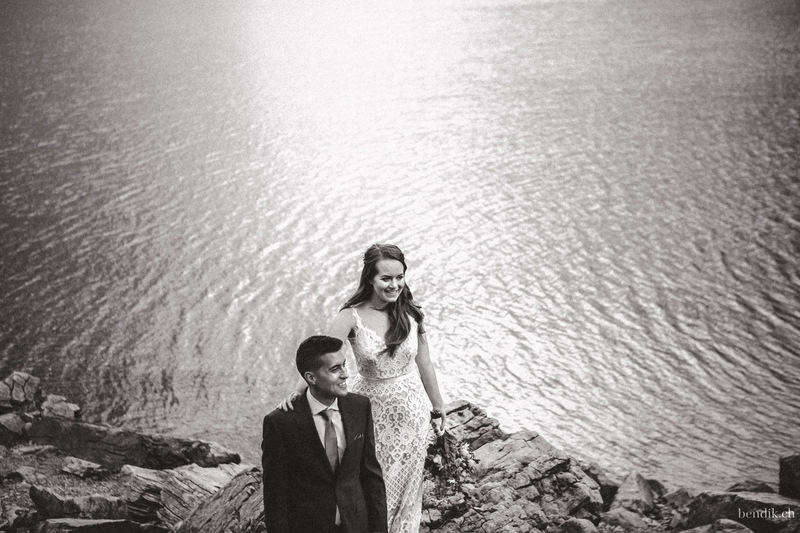 All that I needed to do now was to guide Stephanie to him and wait for the magic to happen :). 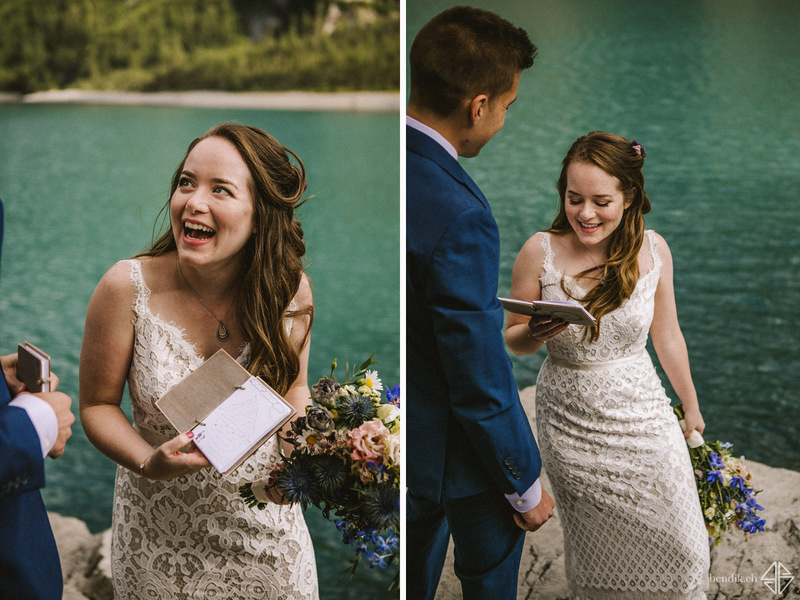 Stephanie’s and Andrew’s wedding vows were so nicely written. 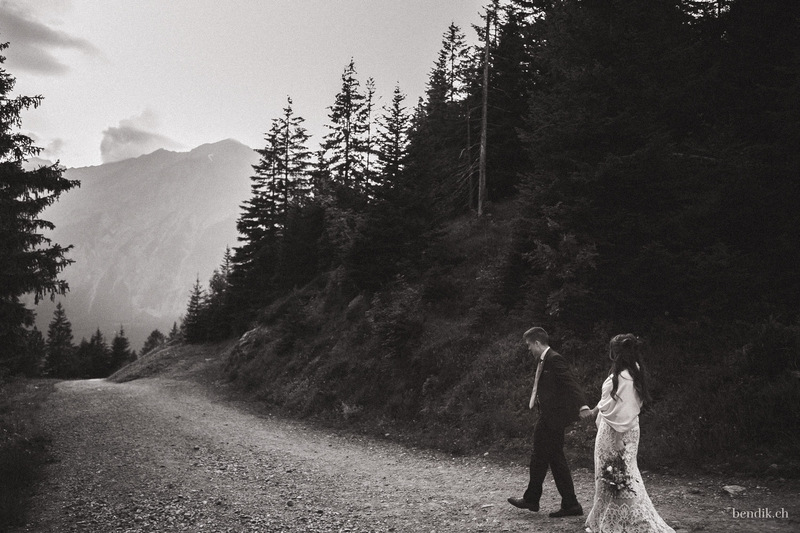 Their love story ideally fitted to the atmosphere of that day. 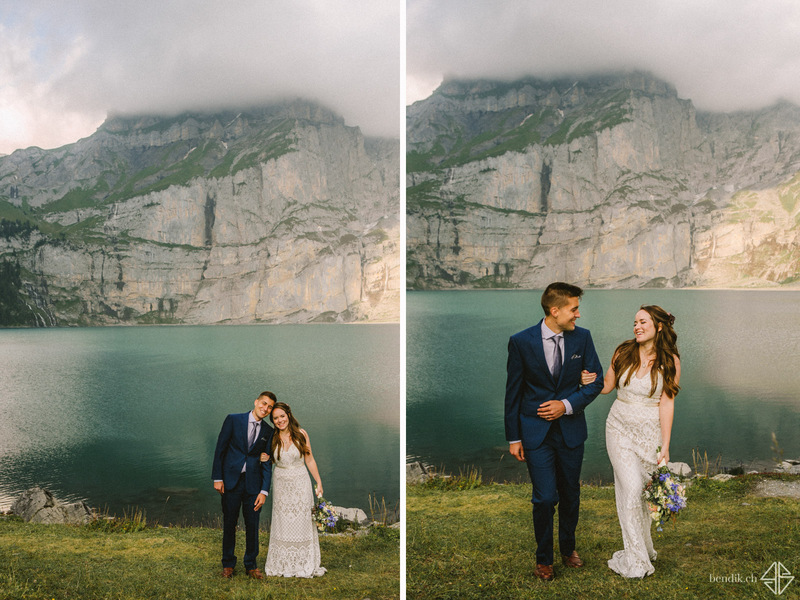 The turquoise waters of the lake and the mountain range it was embedded within were gently illuminated by the mellow light of the evening sun, which every now and then cast a bright spot on the rocky platform they were standing on. 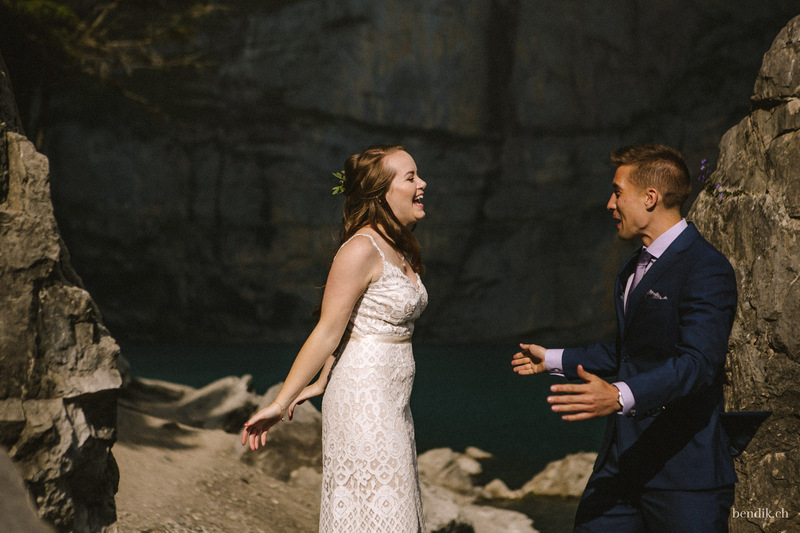 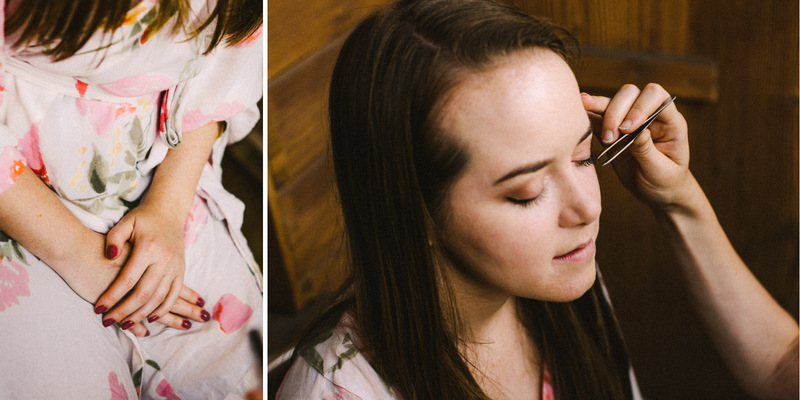 I could have listened to them forever and, honestly, nearly forgot that I needed to shoot their elopement! 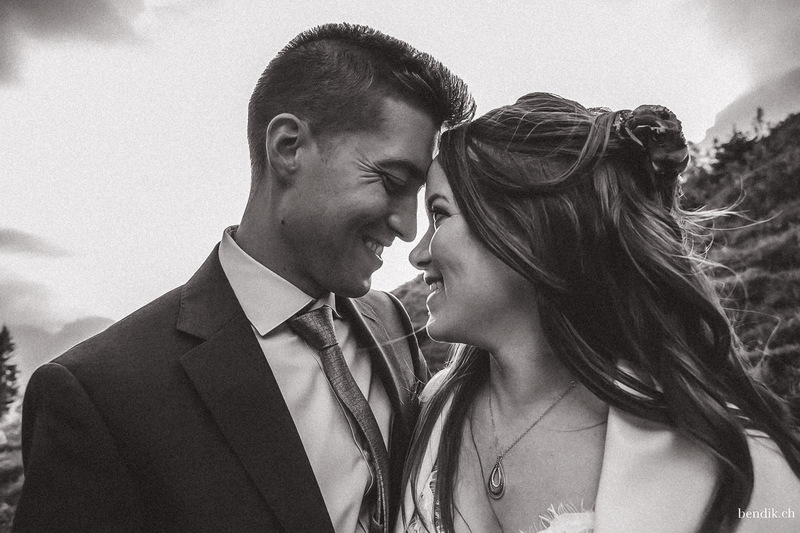 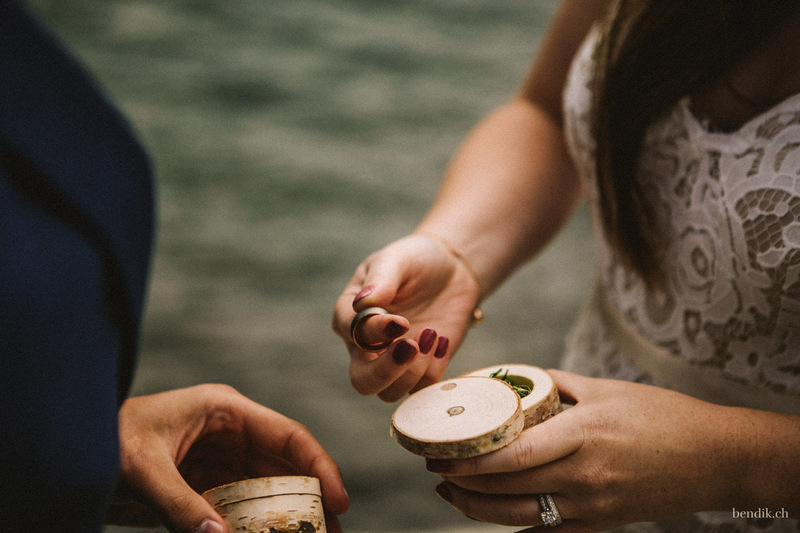 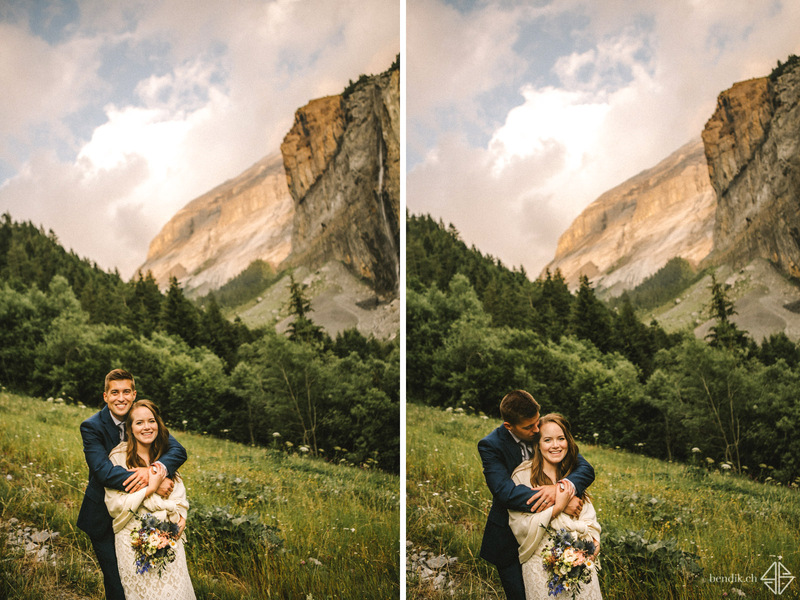 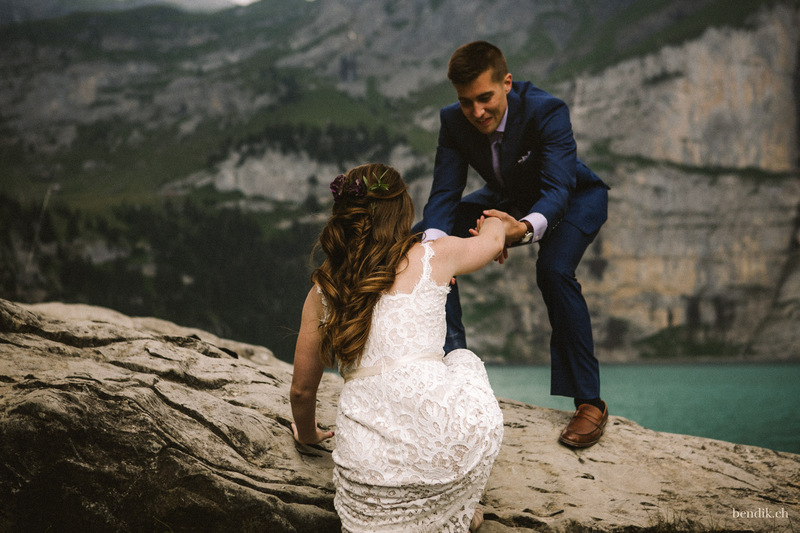 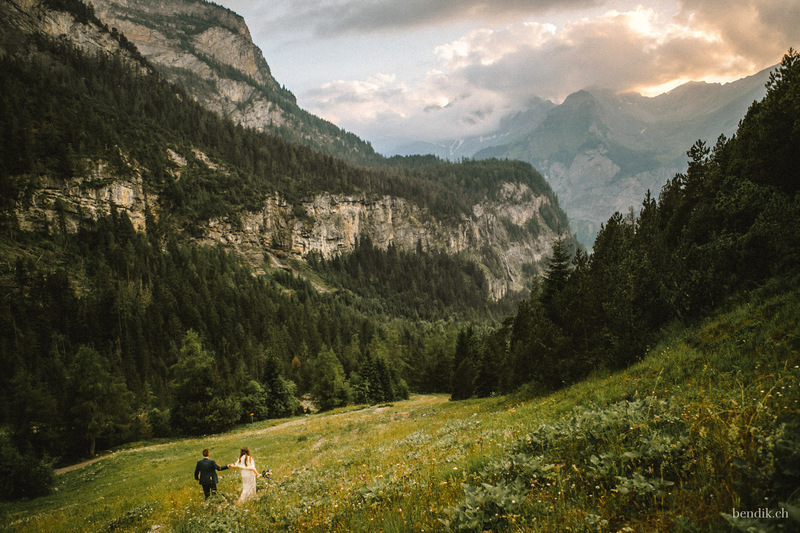 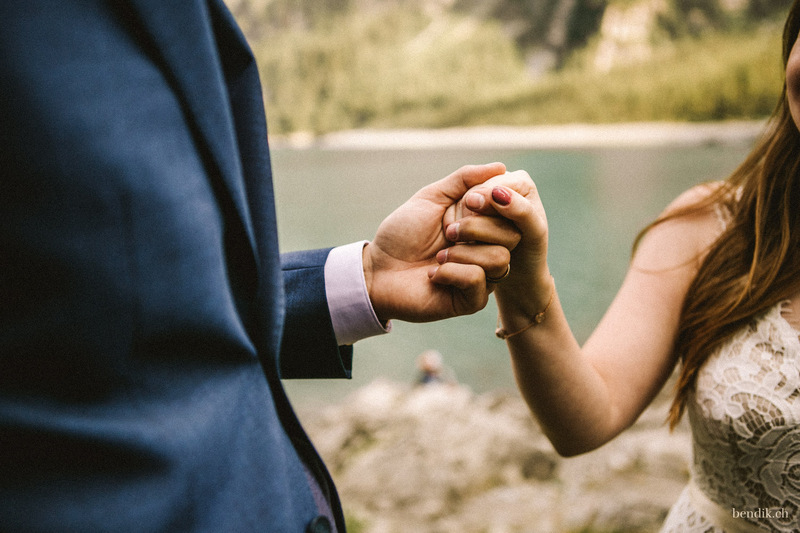 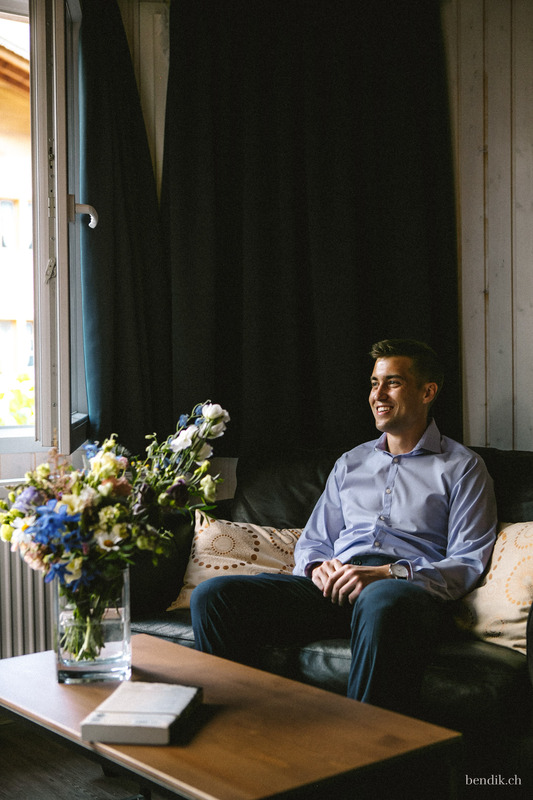 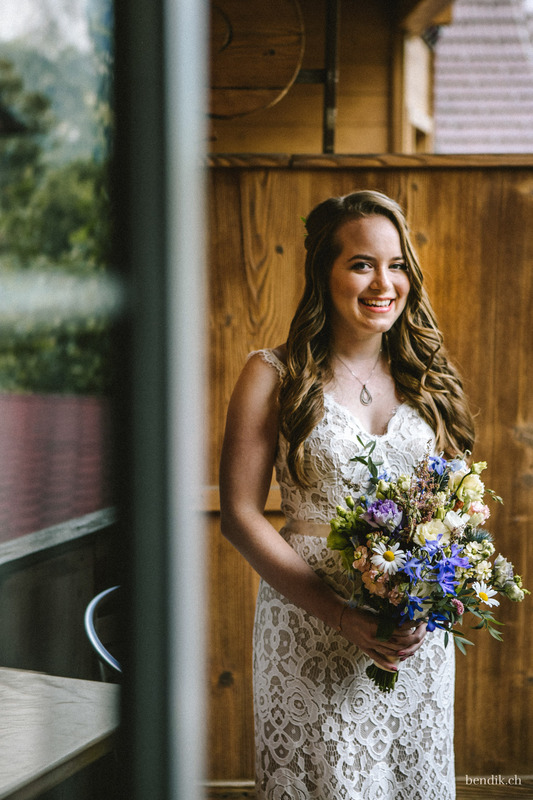 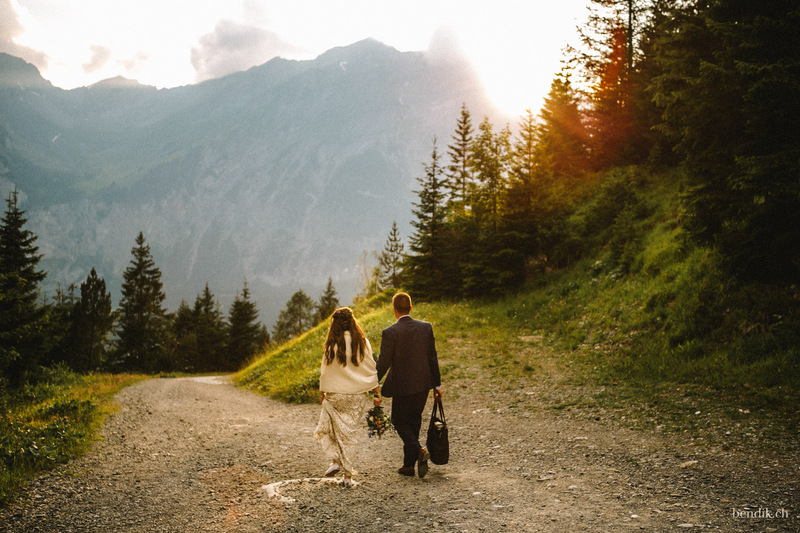 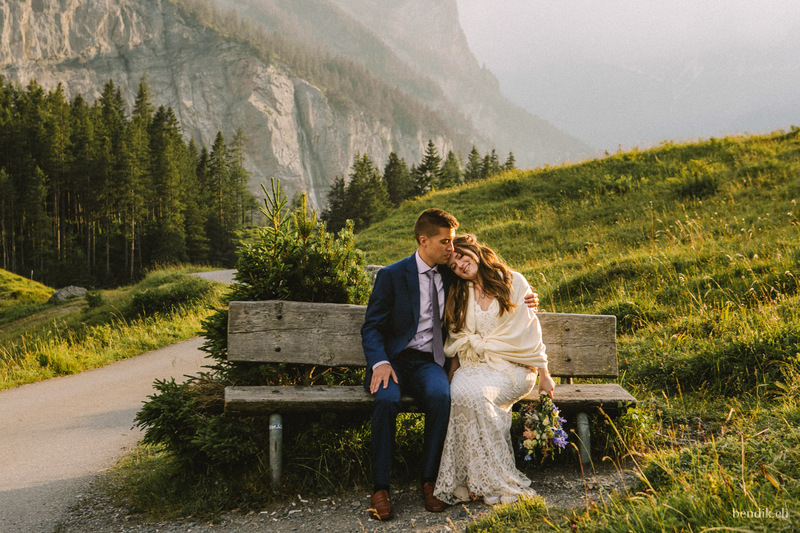 To Stephanie and Andrew, the date of their elopement in Switzerland will be the day on which they will celebrate their anniversary in the future. 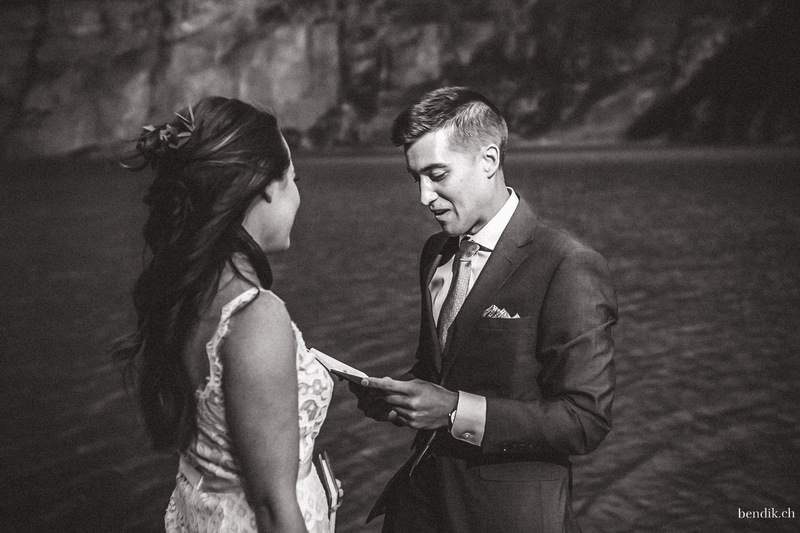 I am honored to have been part of this important and truly magical day. 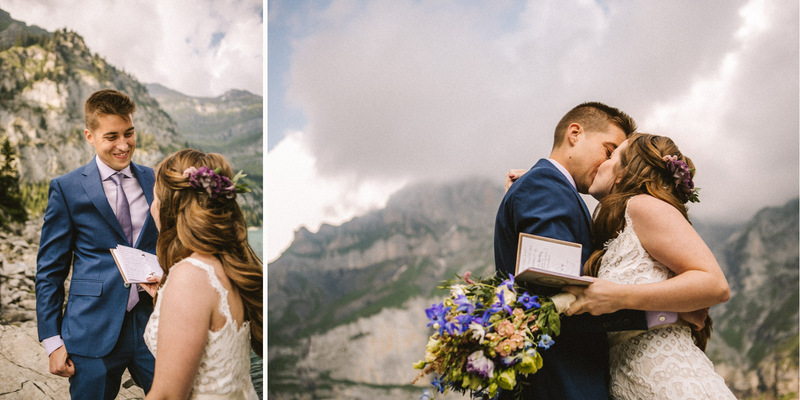 Veronika Bendik is the lead photographer of Bendik Photography who for 8 years is accompanying couples that are deeply in love with her camera. 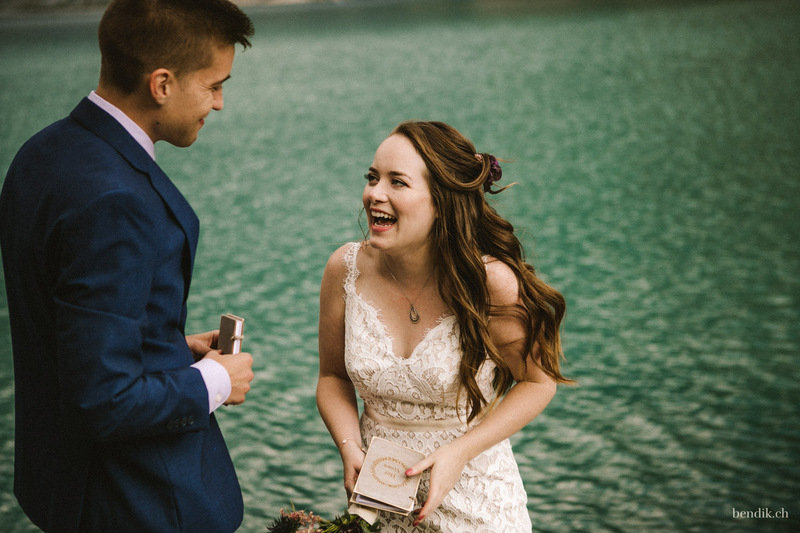 Through a close connection to her couples, she creates works that are defined by creativity and love.